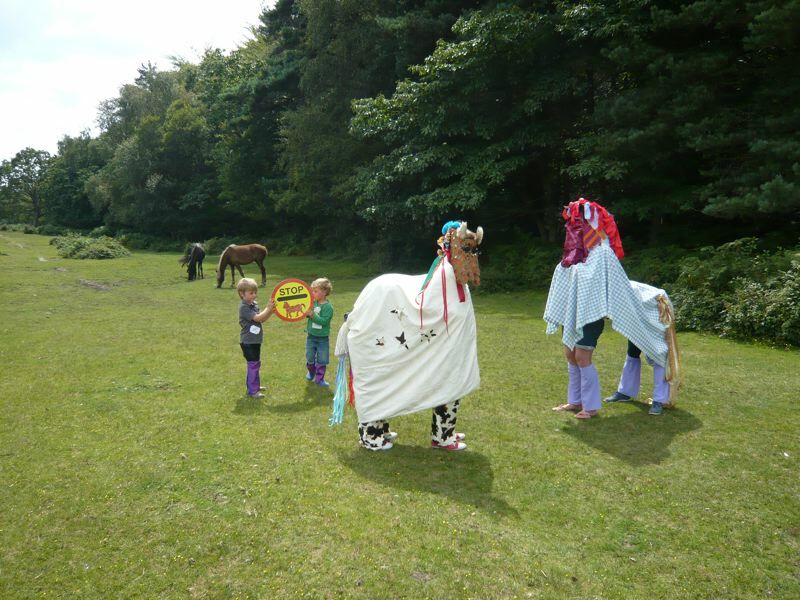 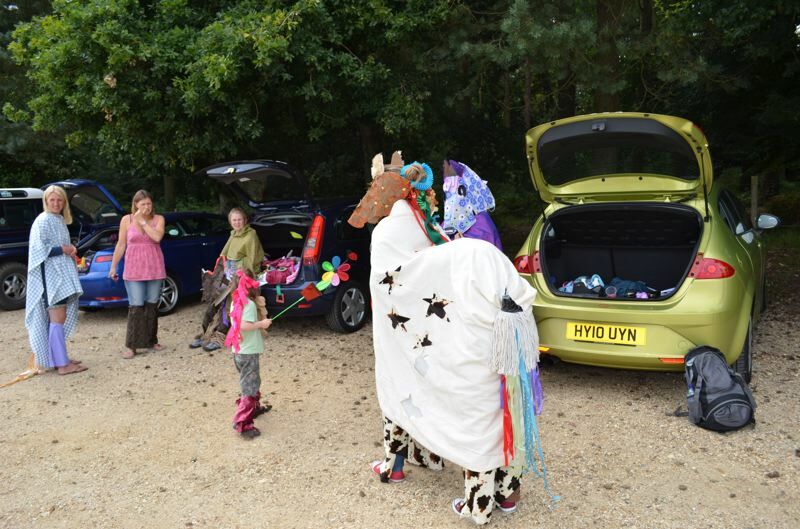 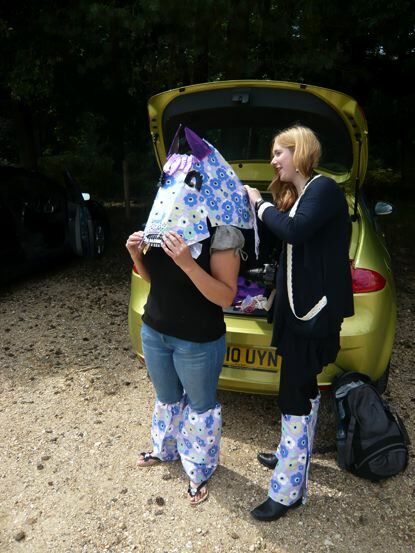 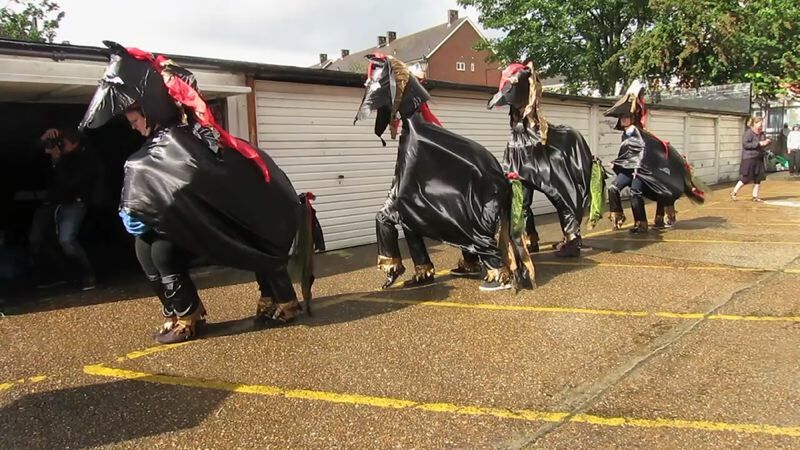 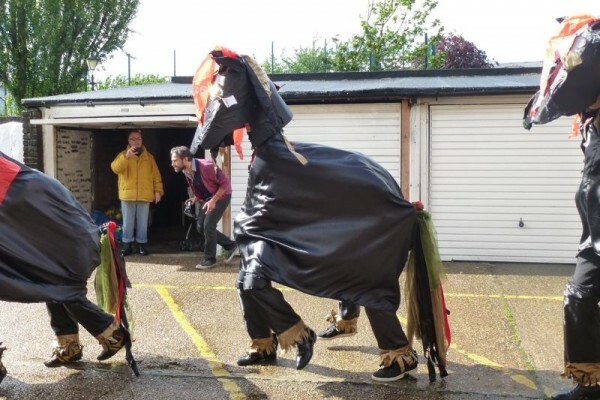 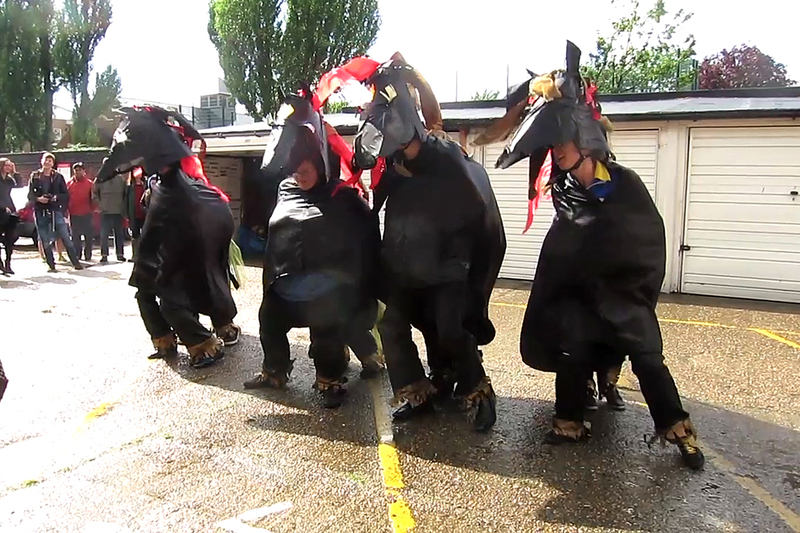 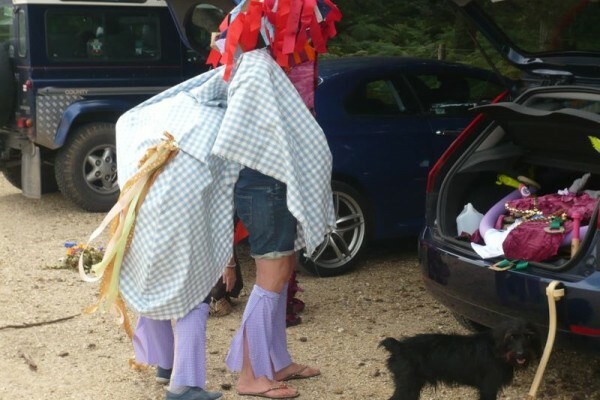 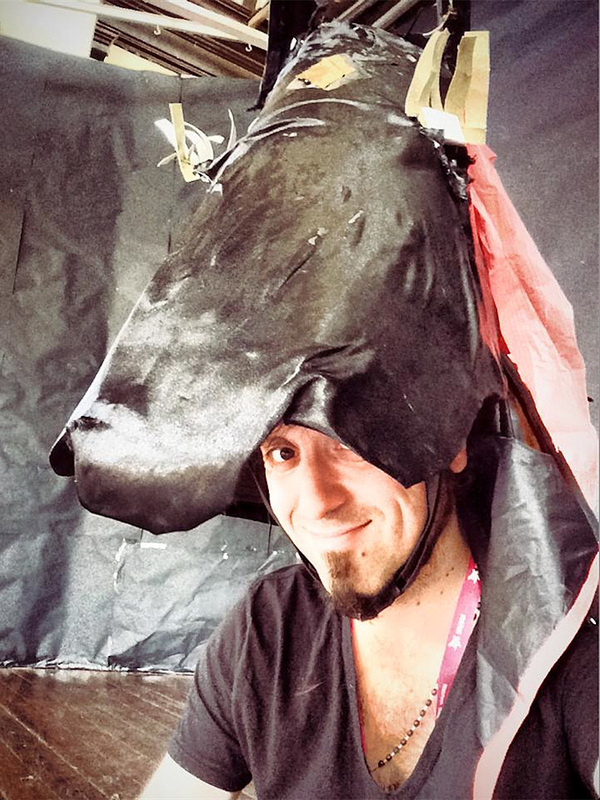 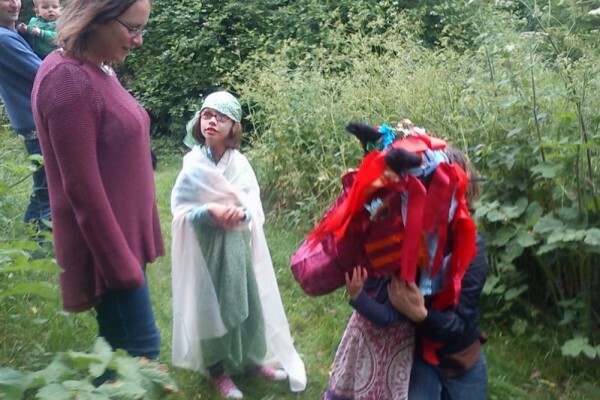 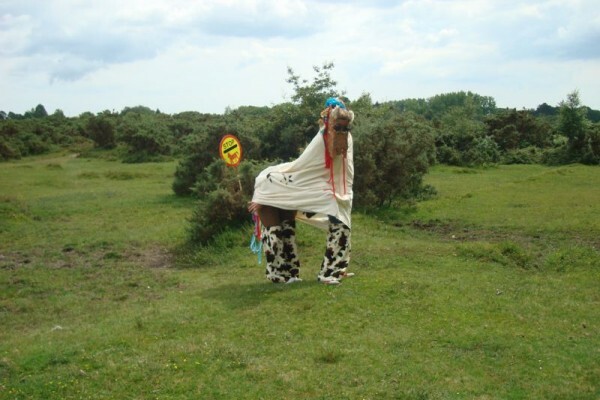 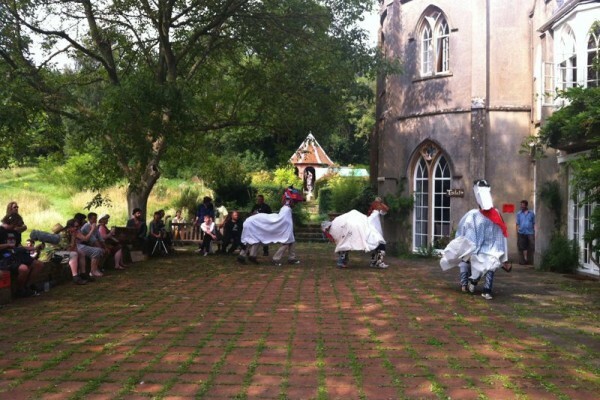 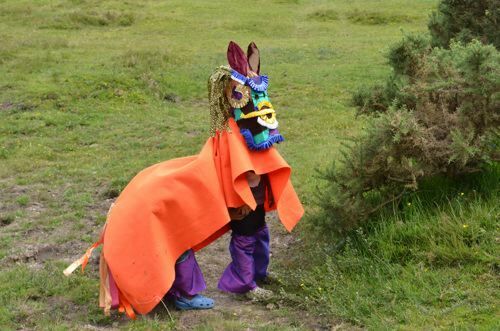 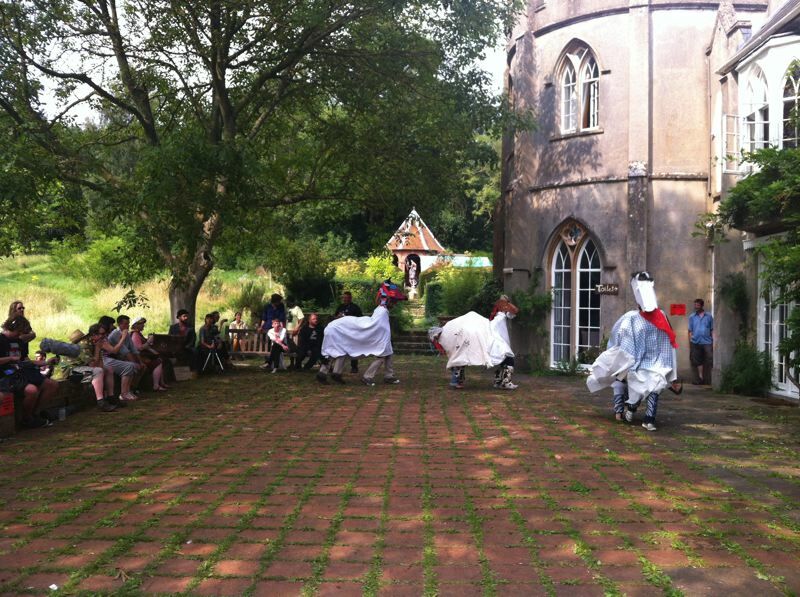 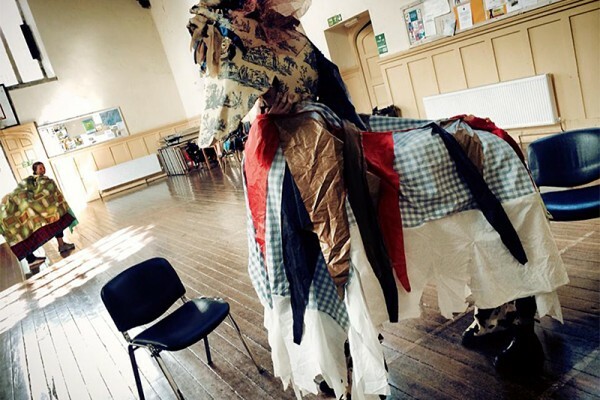 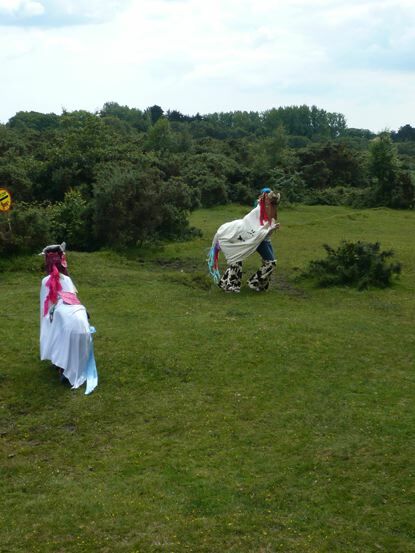 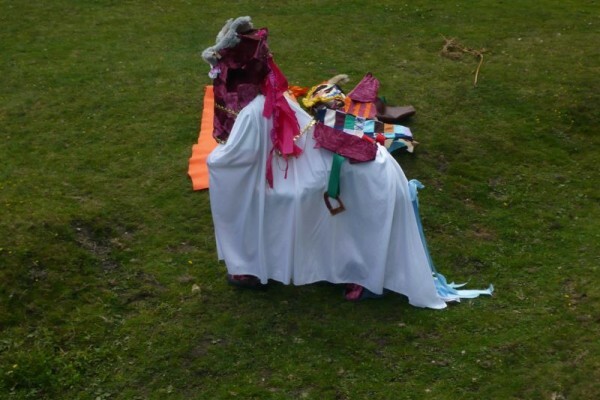 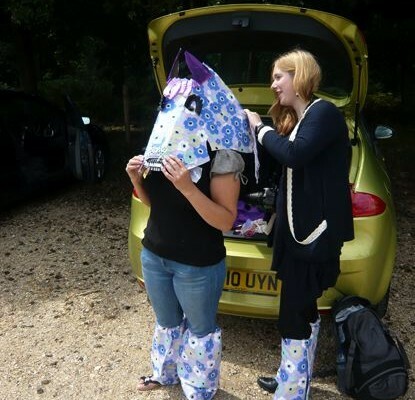 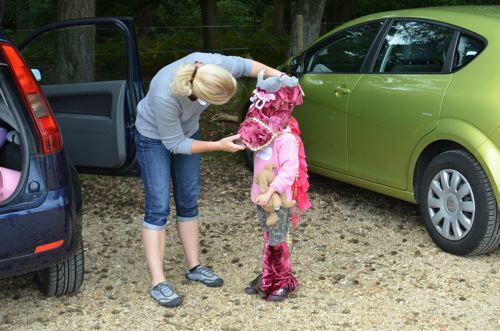 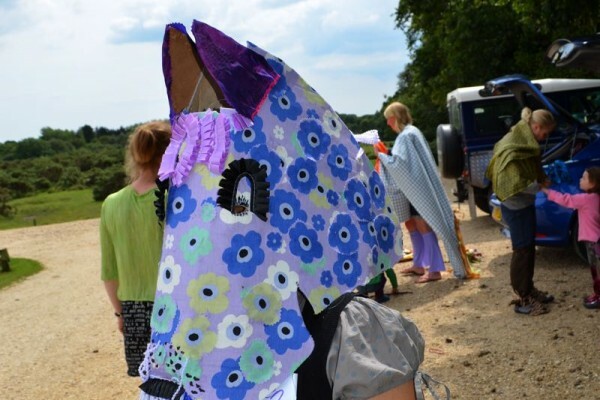 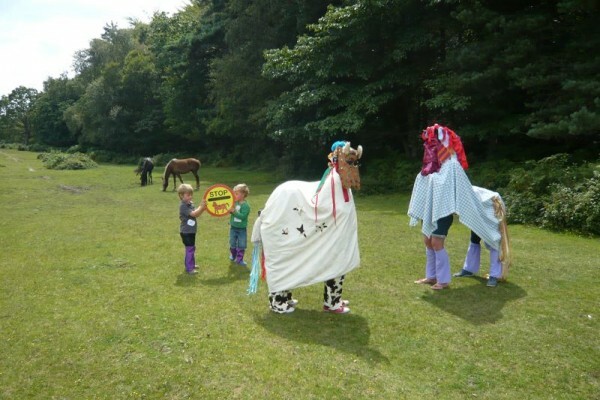 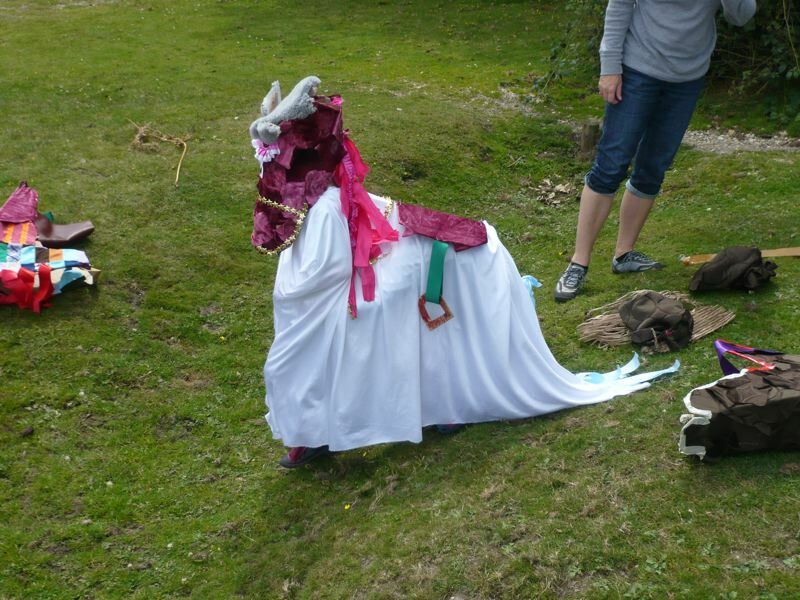 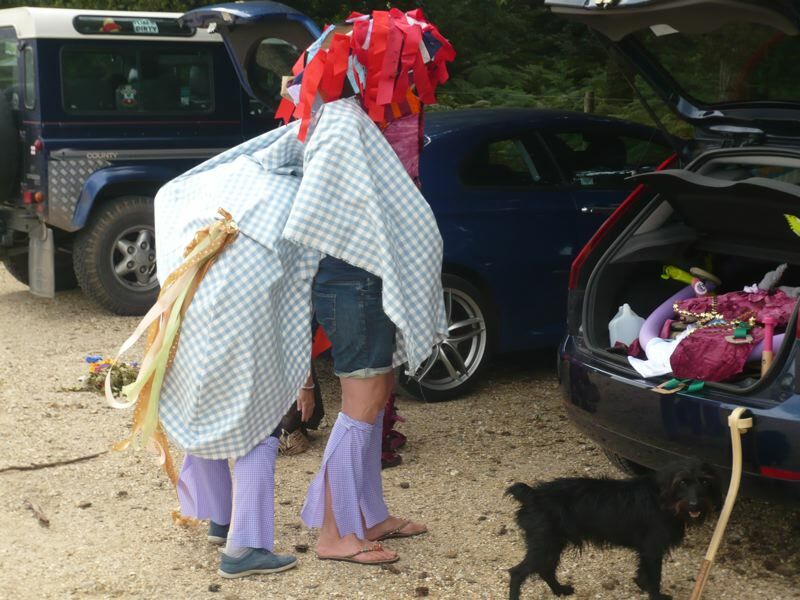 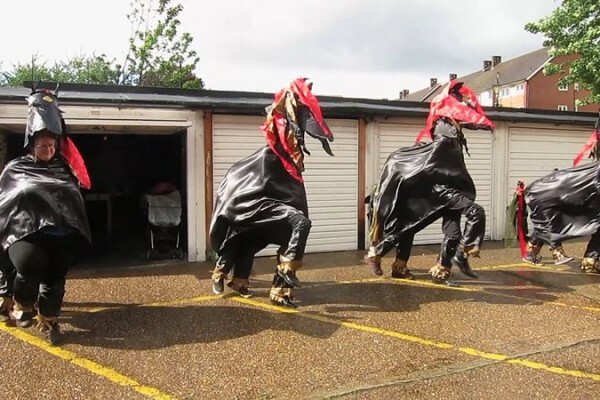 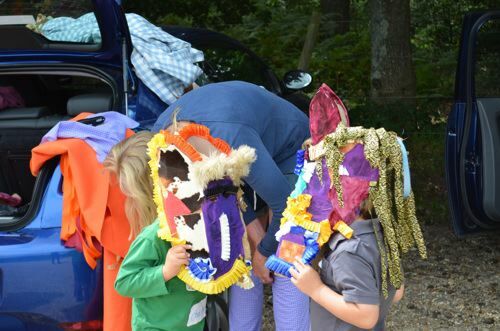 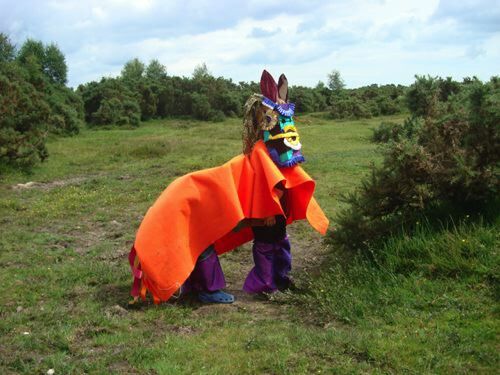 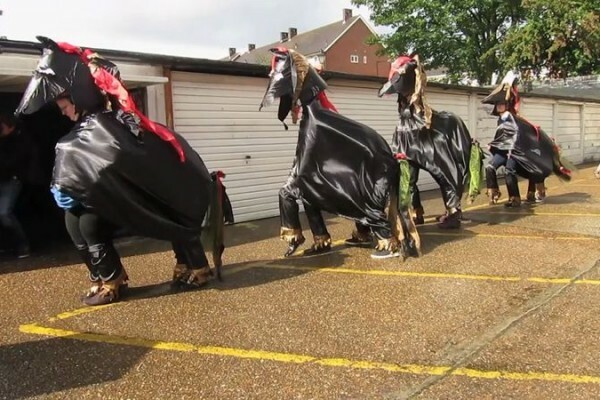 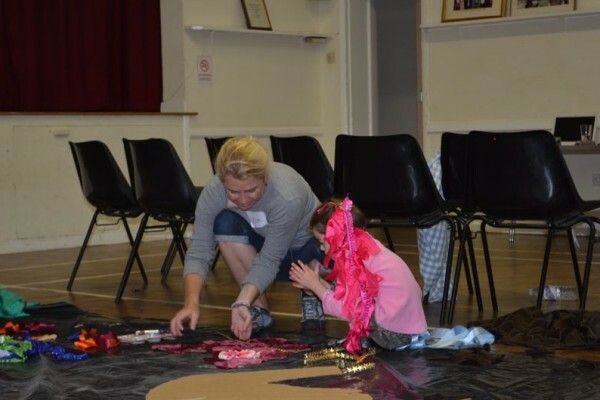 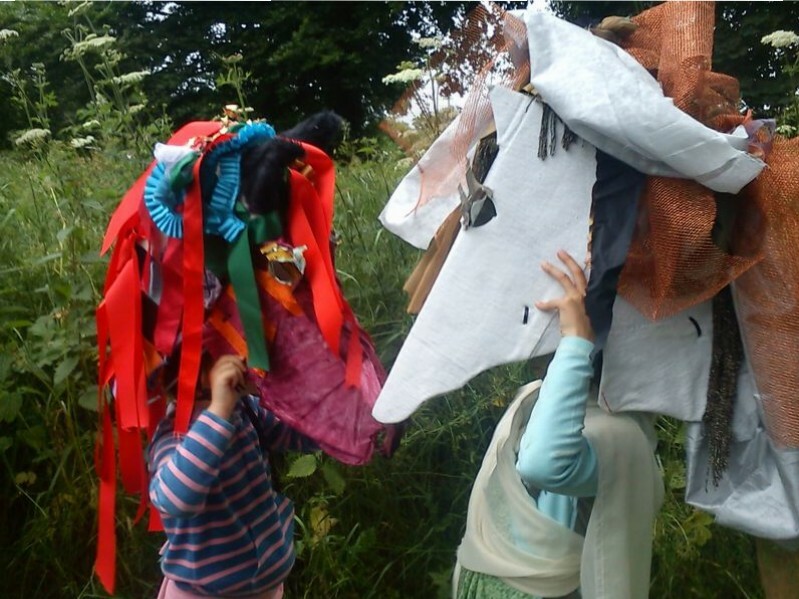 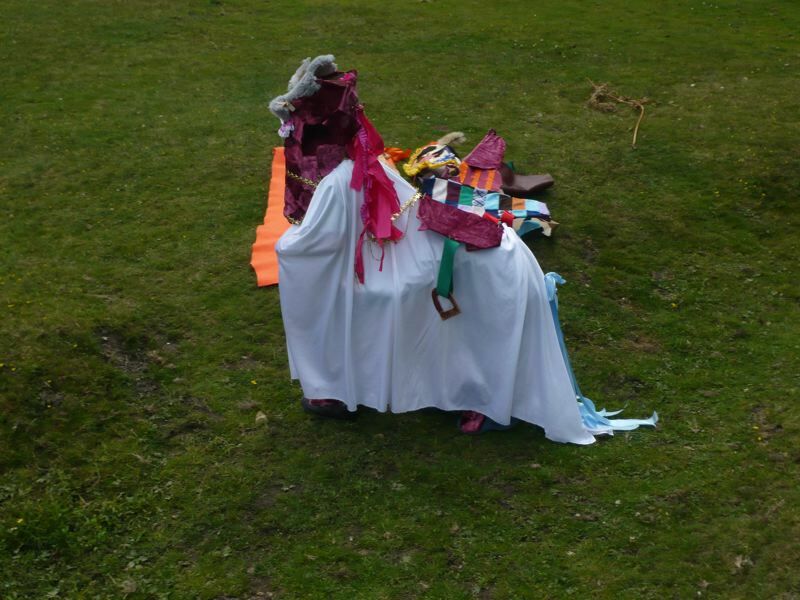 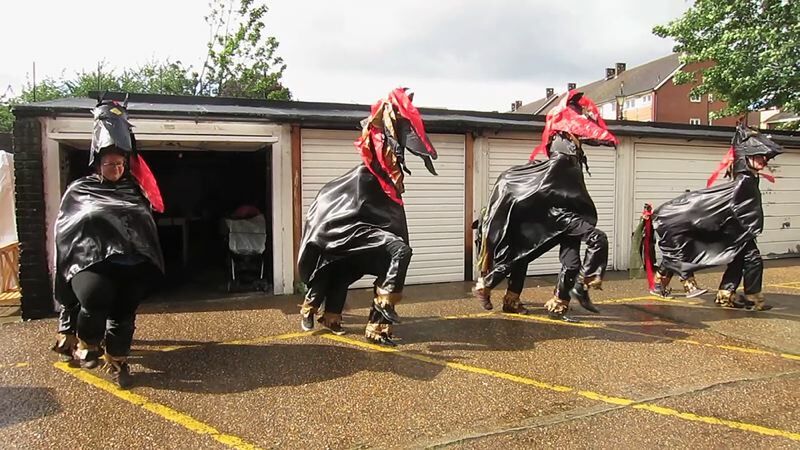 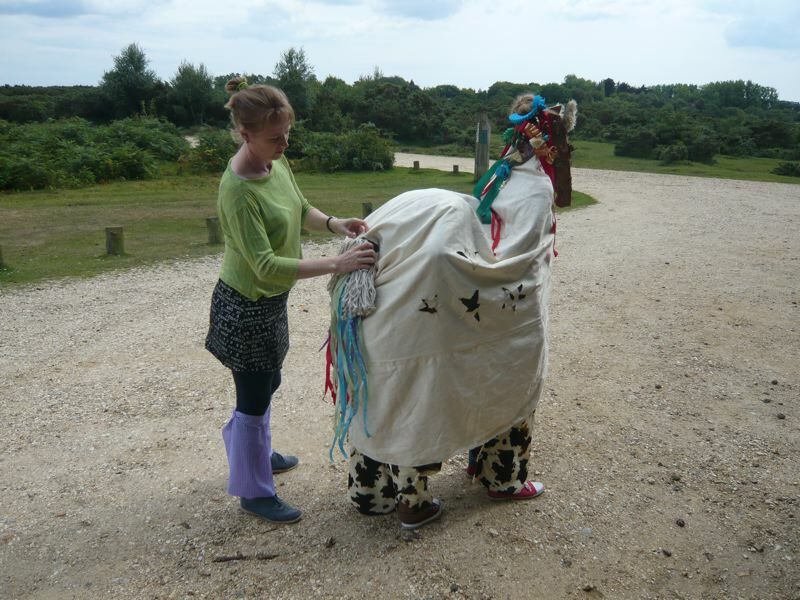 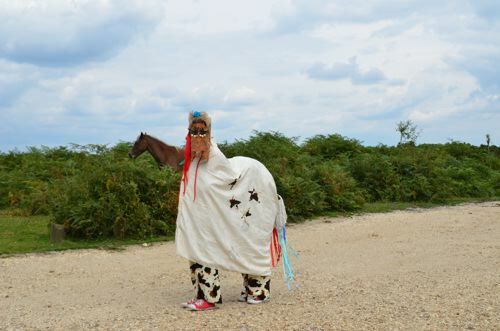 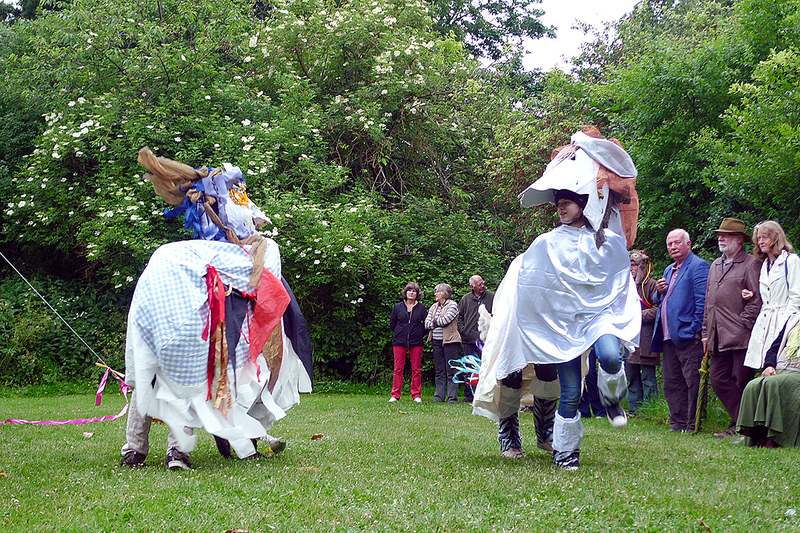 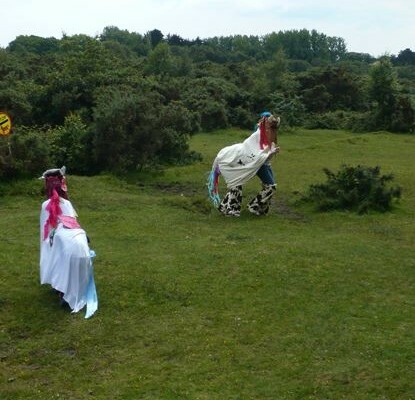 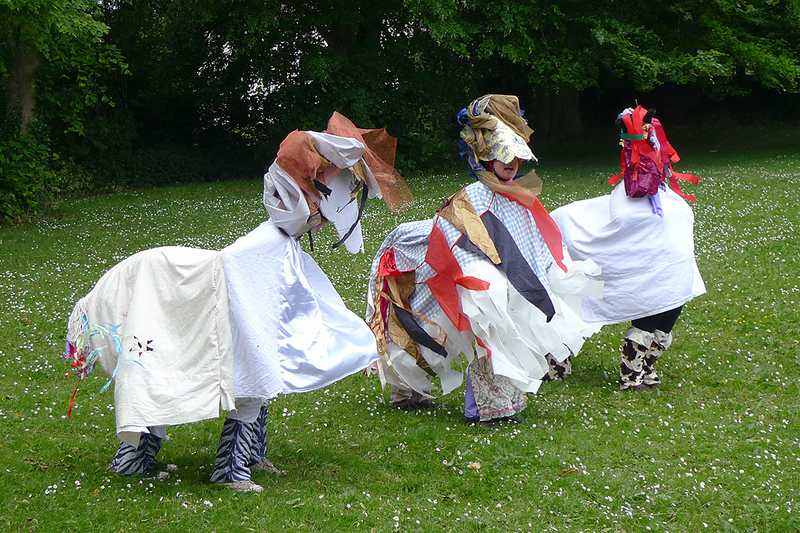 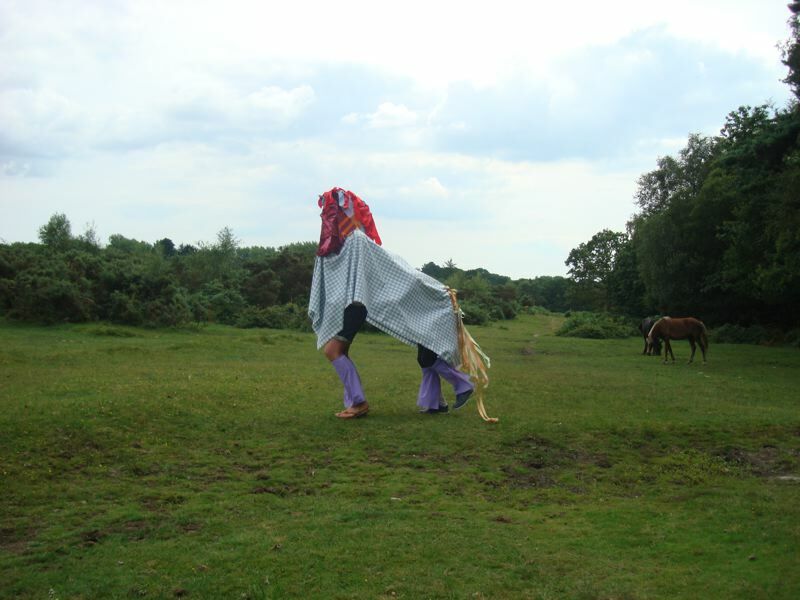 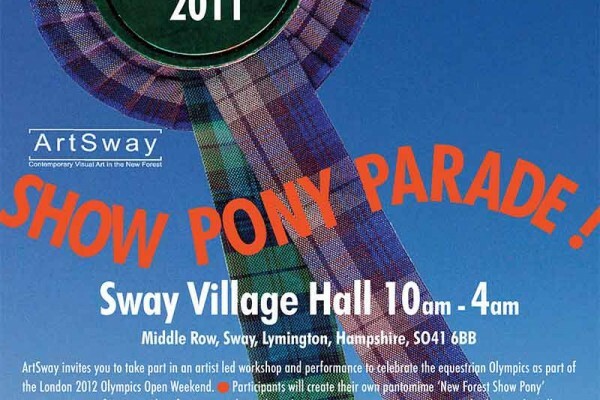 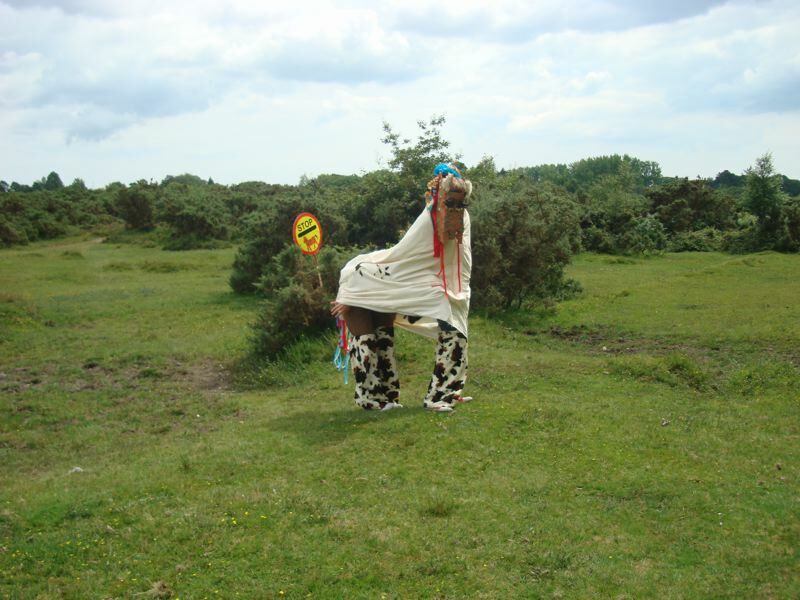 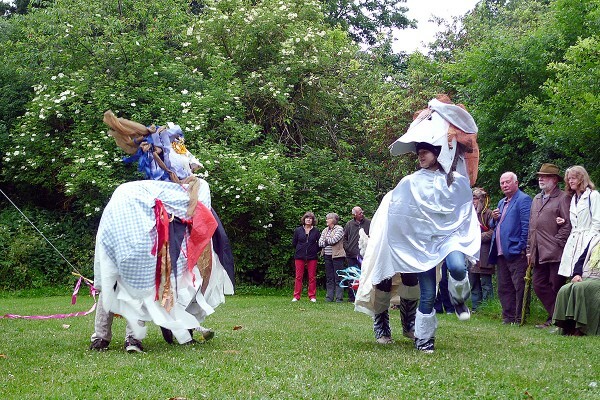 The Pantomime Pony projects have been developed through participatory workshops for families, children and adults commissioned by ArtSway, The Museum of Childhood, Kendal’s Mintfest, LUPA , Supernormal Festival and Shoreham Midsummer Festival. 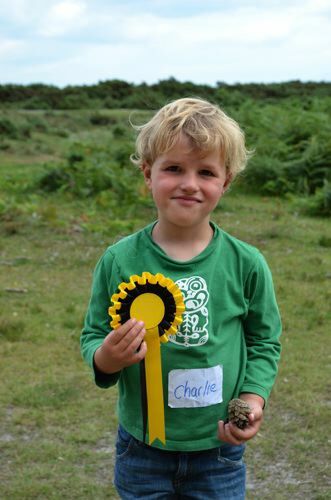 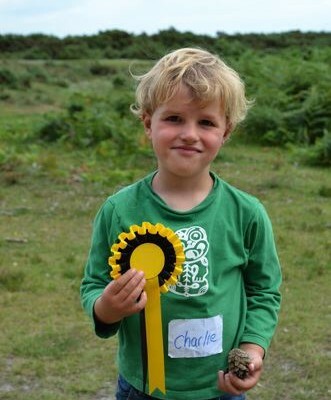 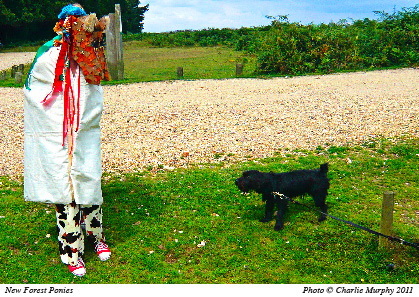 Charlie and her collaborators are talented art educators offering a huge range of experience, expertise and enthusiasm. 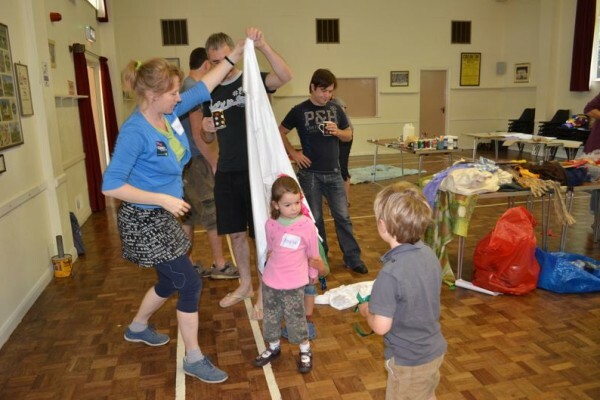 Get in touch if you’d like to us to develop a workshop for you – to suit different age groups, abilities, cultural references,group numbers and time slots. 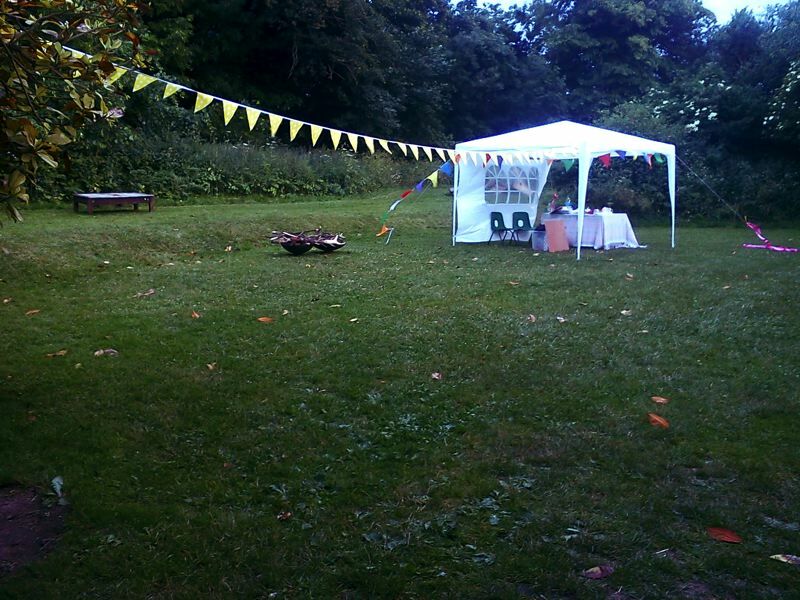 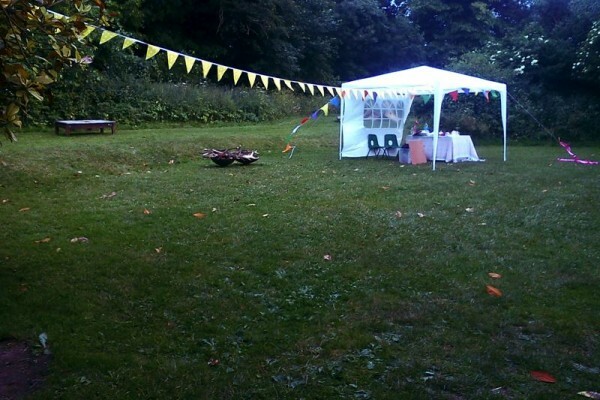 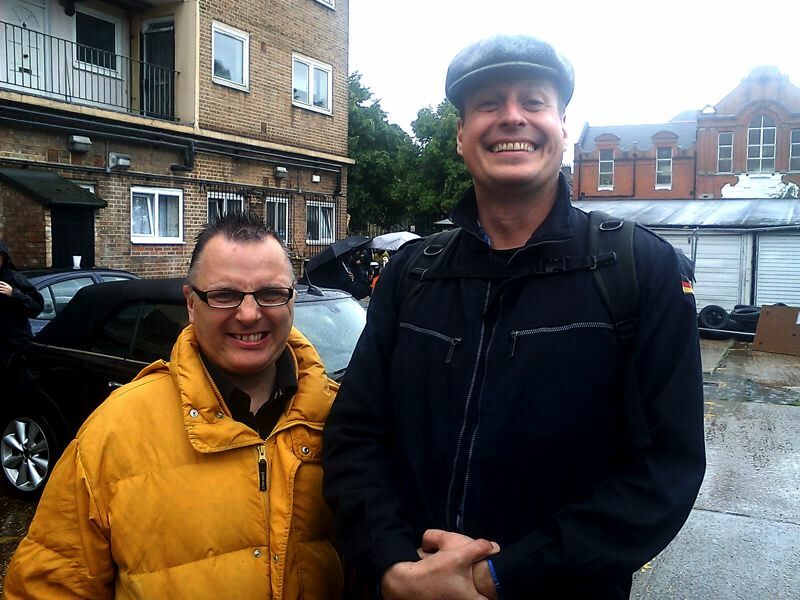 Below are examples of some of the successful events we have delivered. 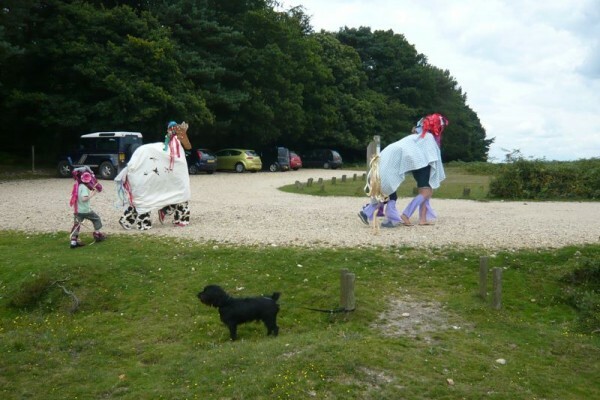 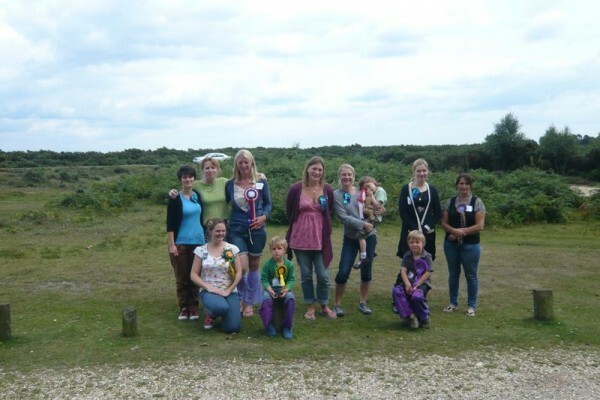 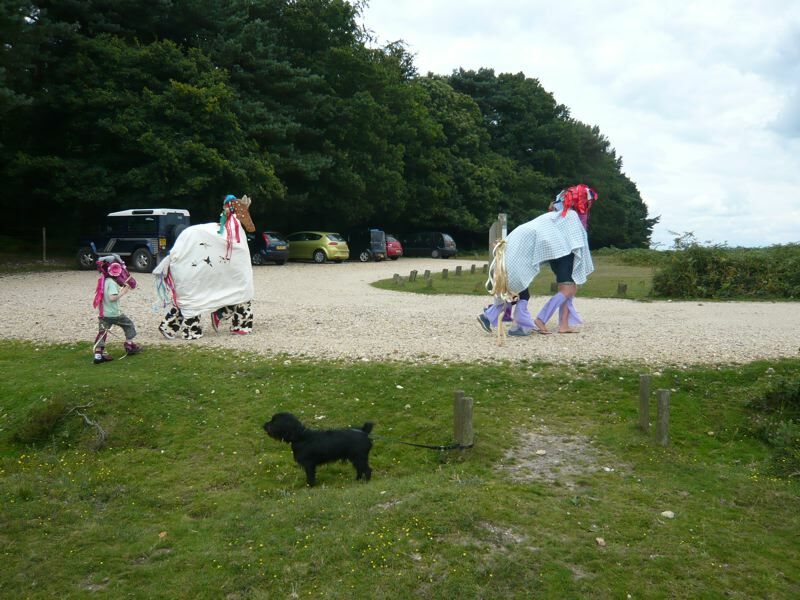 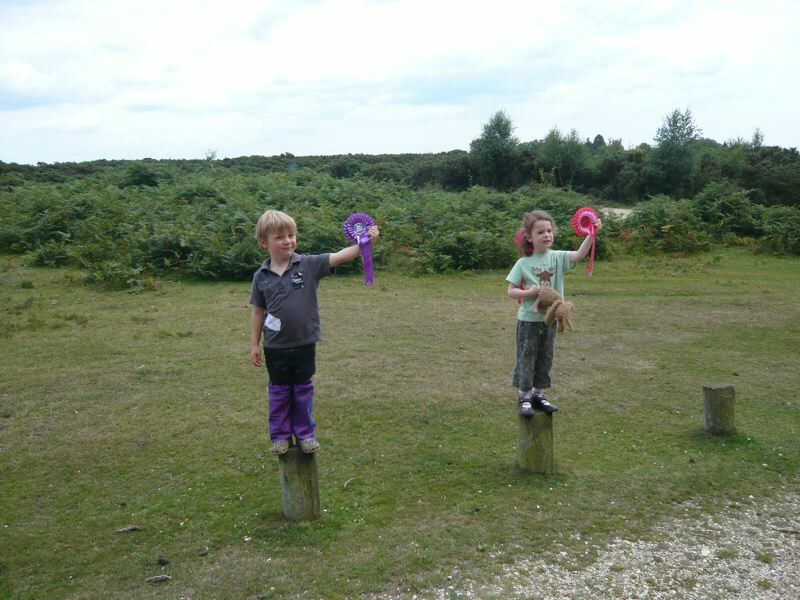 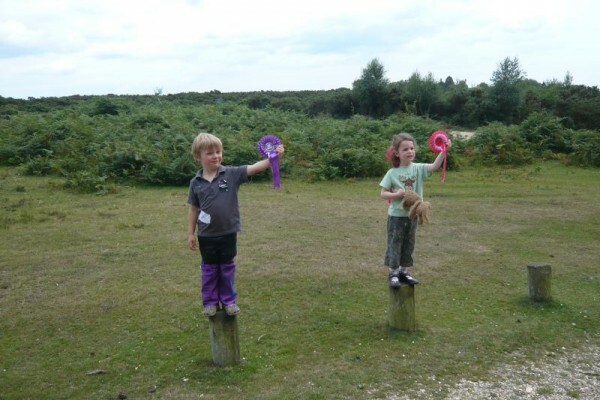 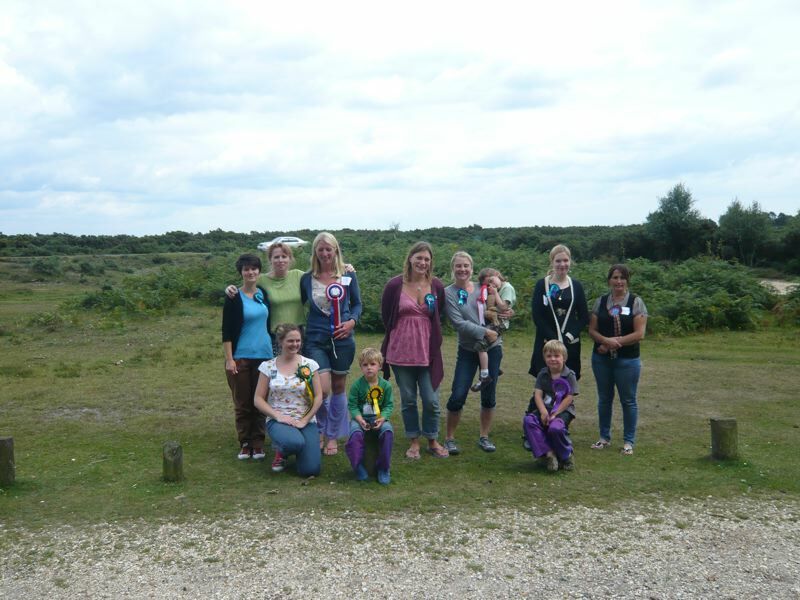 Show Pony Parade invited local families to create their own breeds of New Forest pony and to parade them in the local New Forest setting in order to create a series of picture postcards. 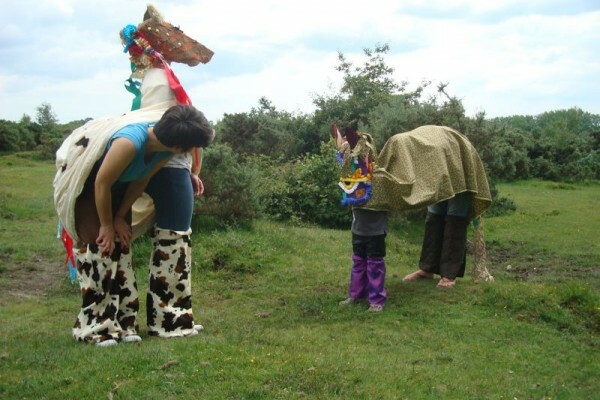 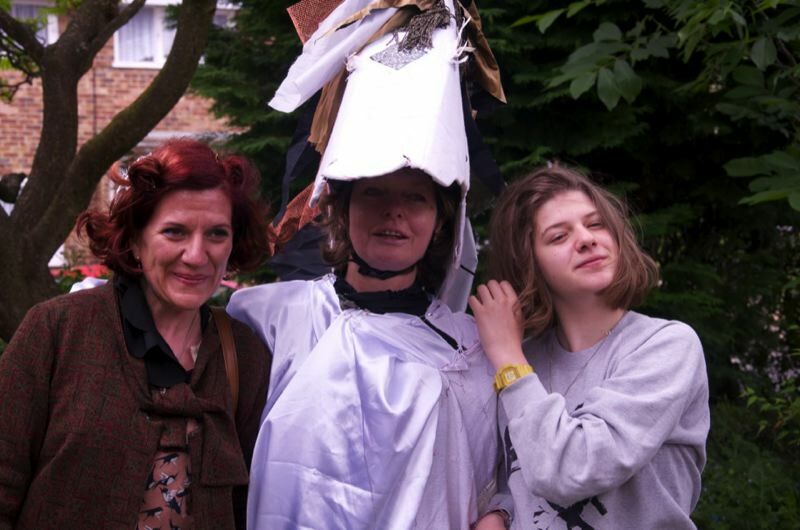 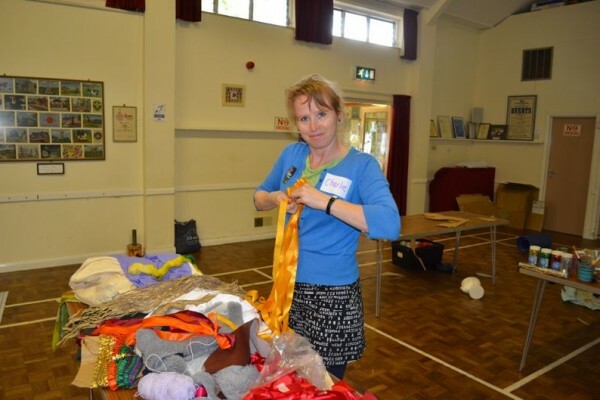 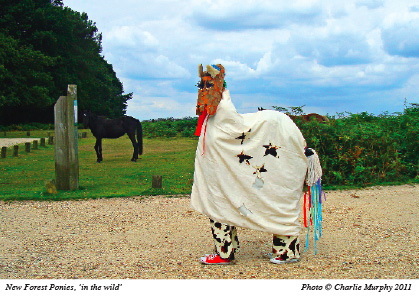 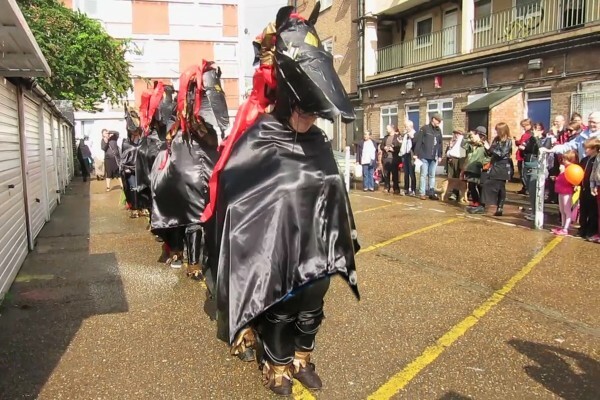 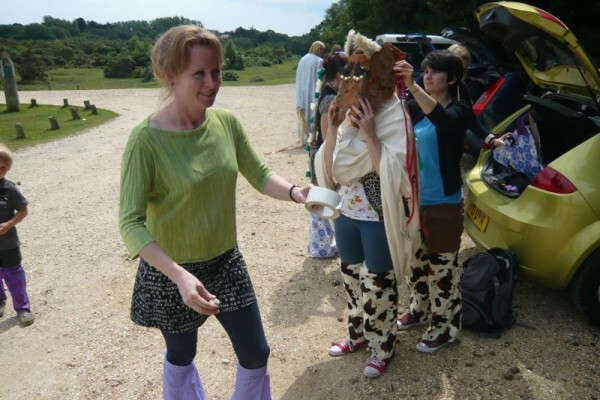 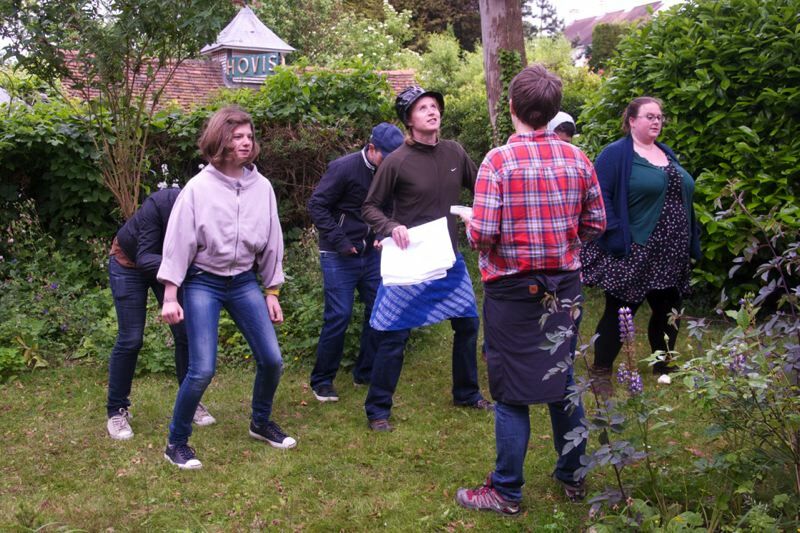 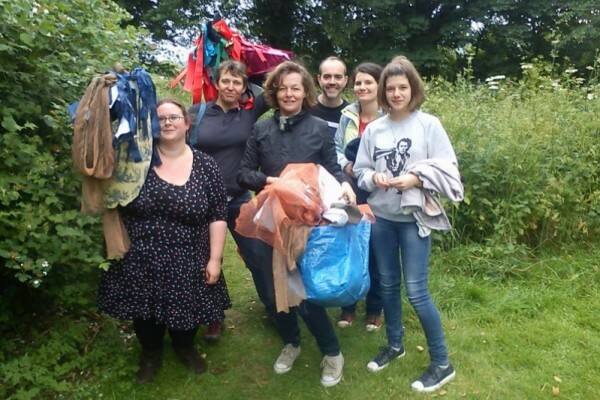 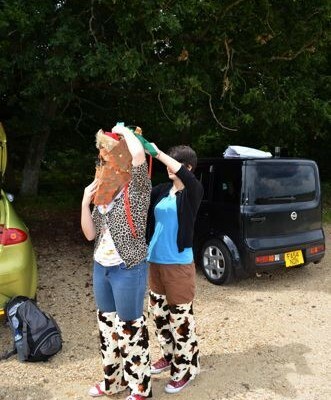 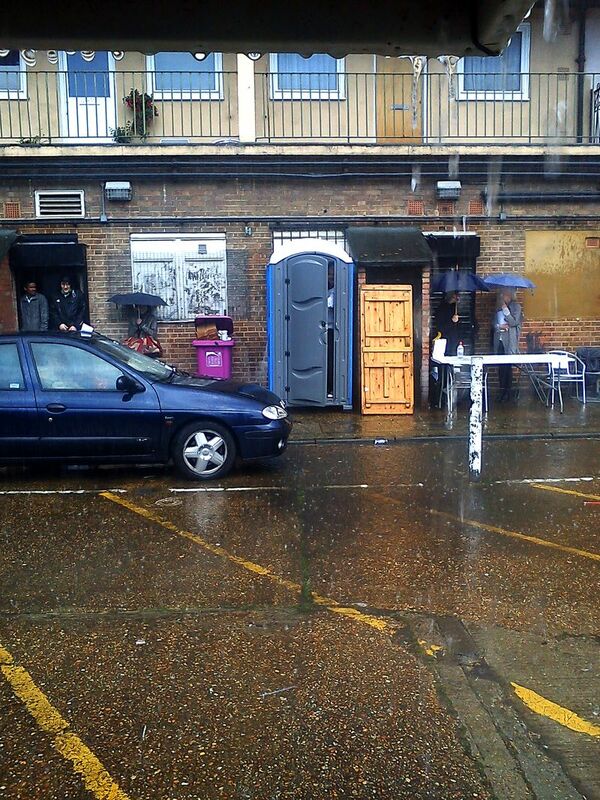 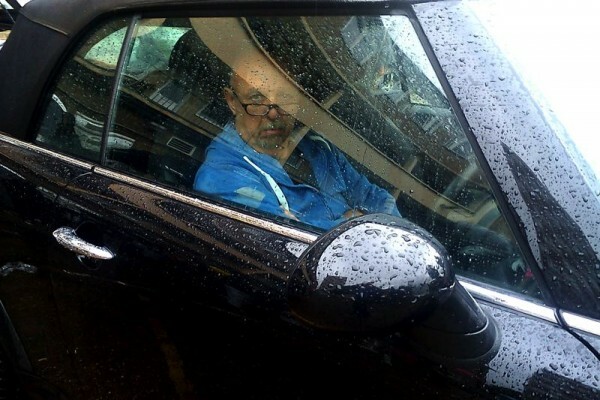 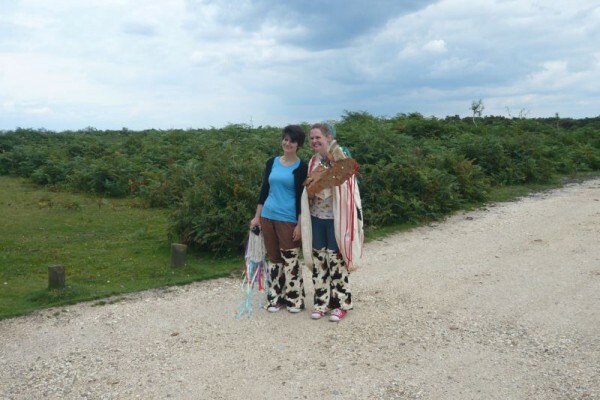 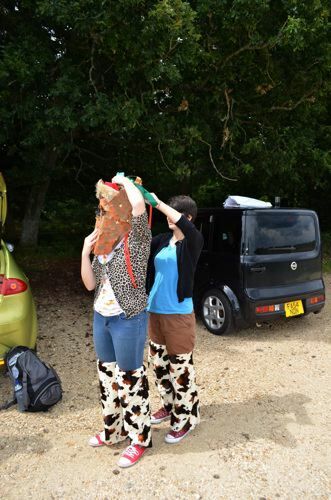 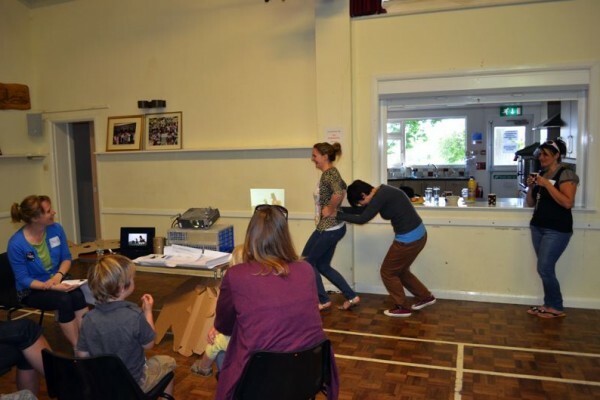 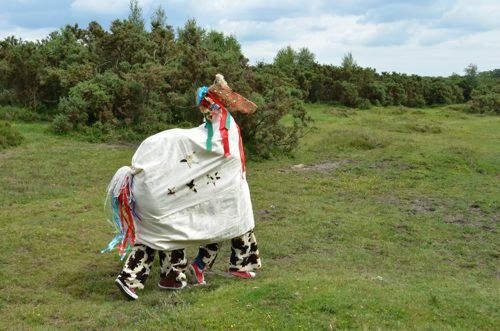 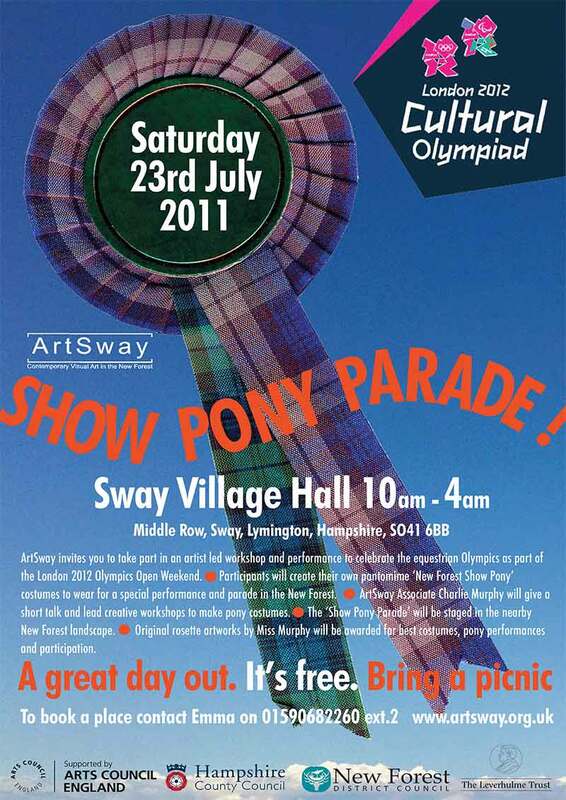 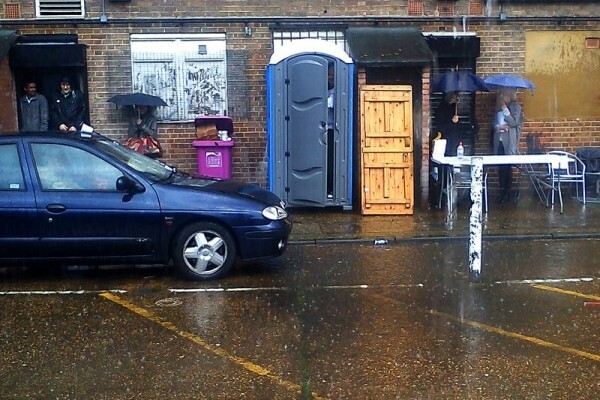 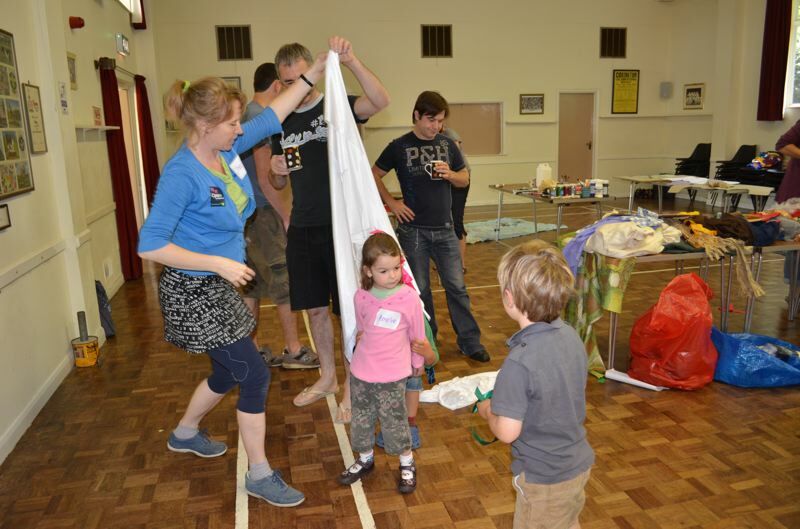 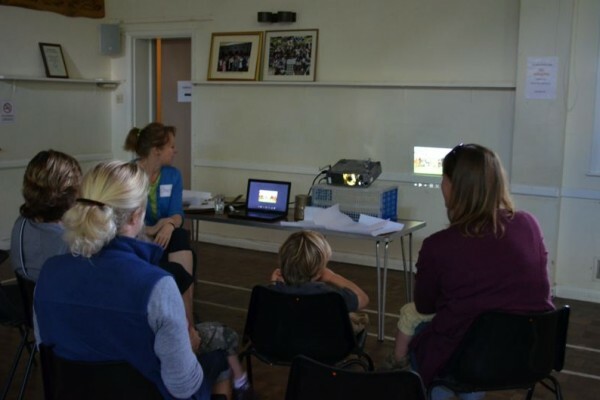 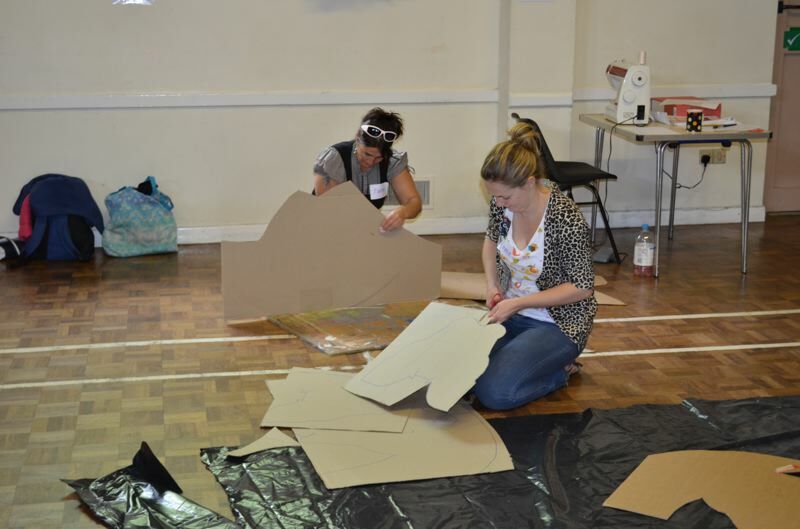 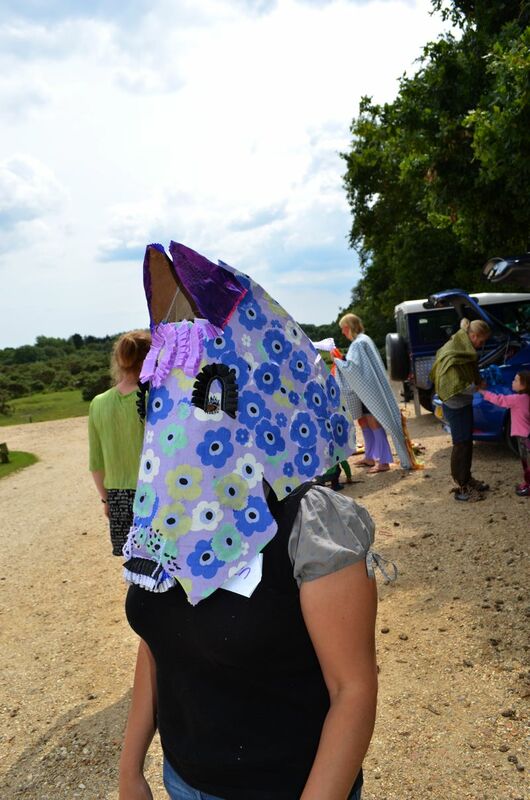 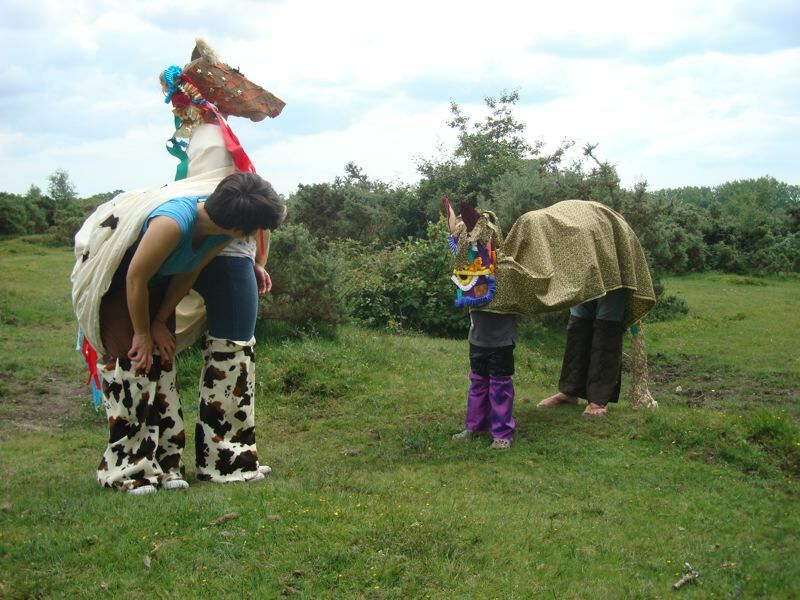 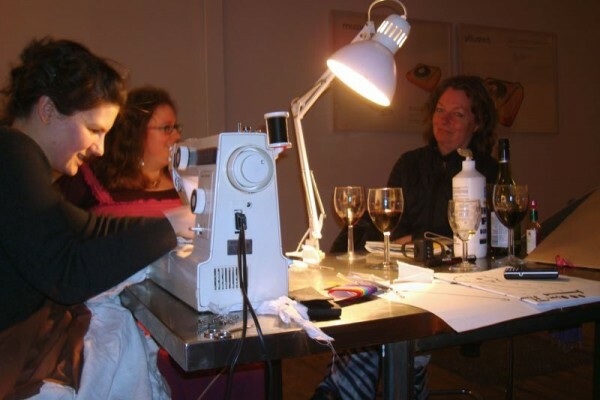 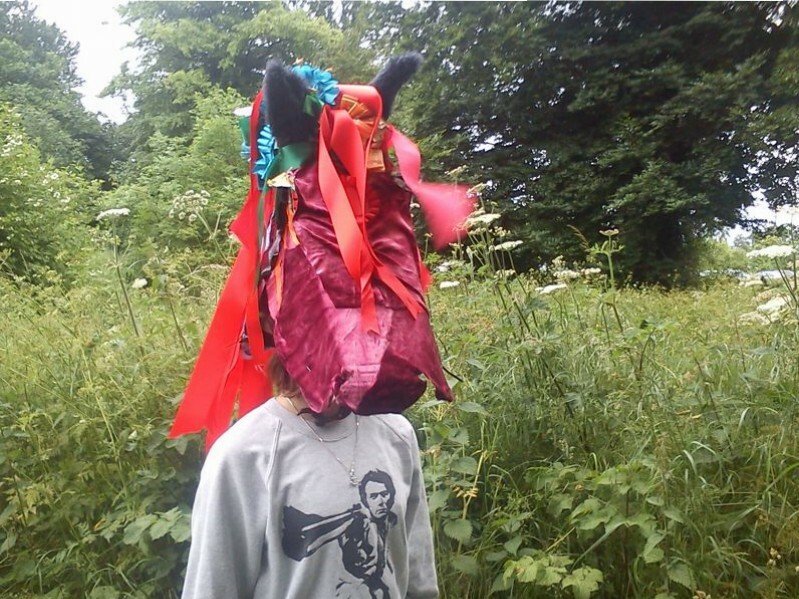 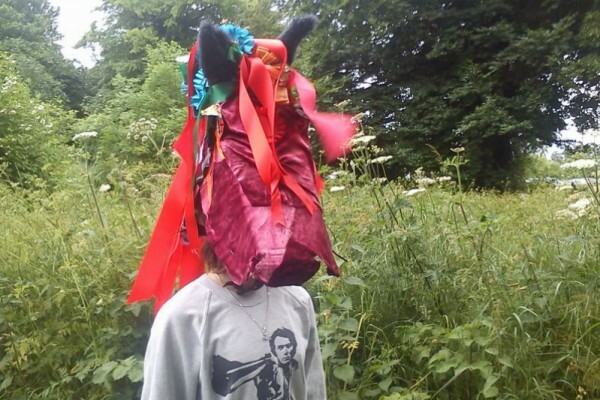 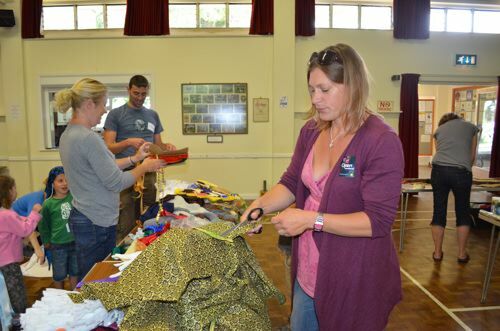 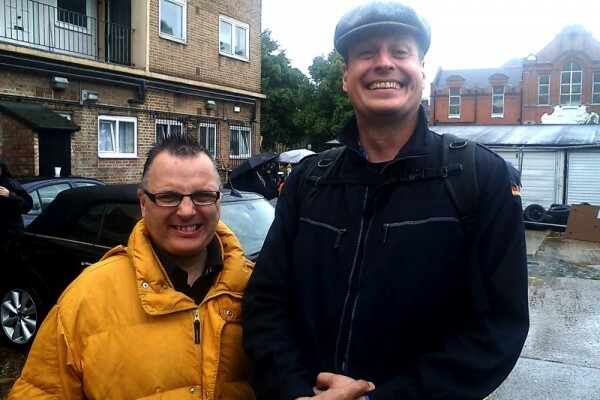 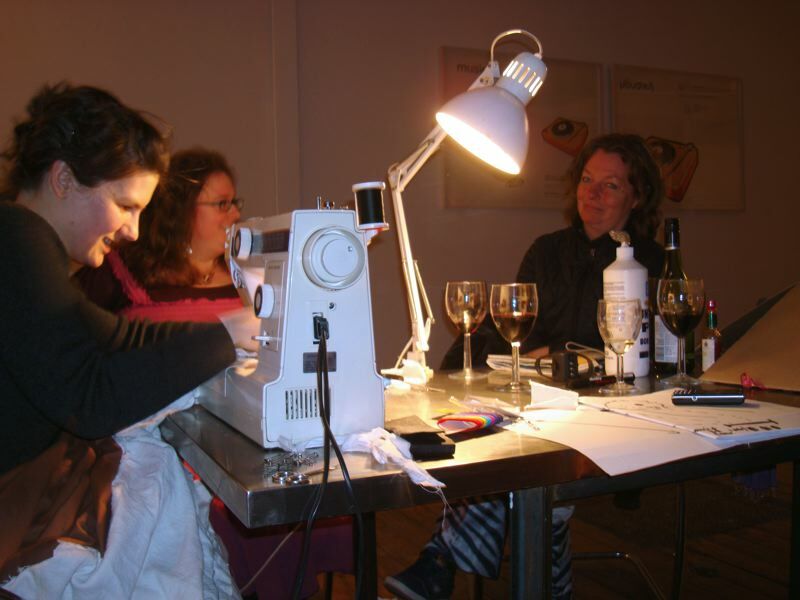 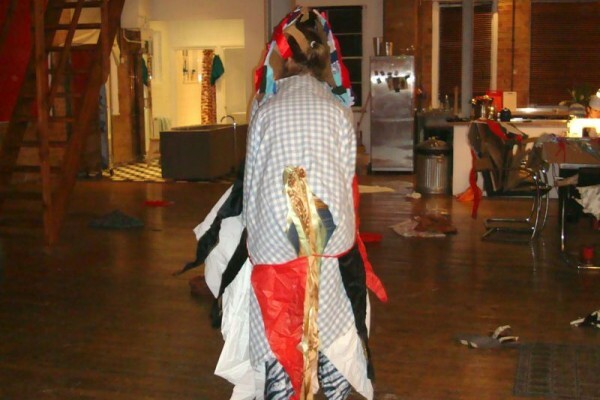 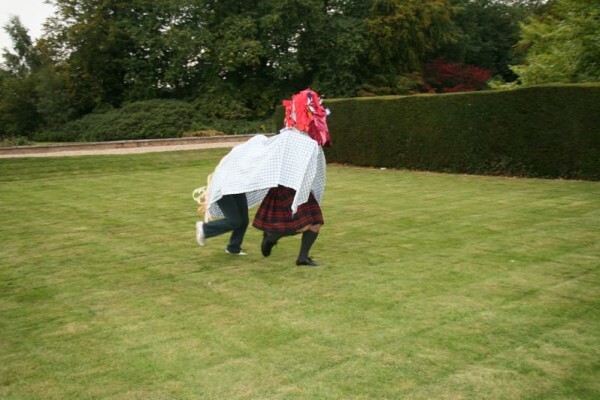 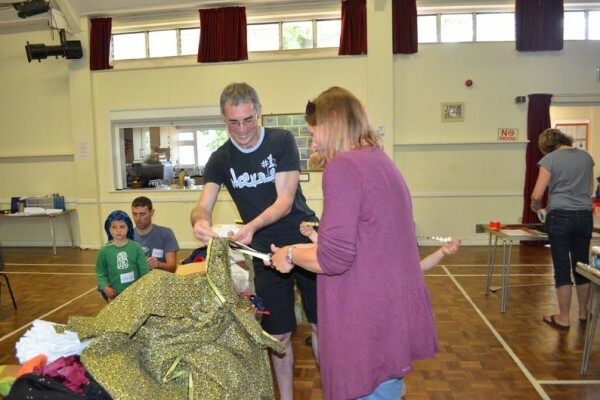 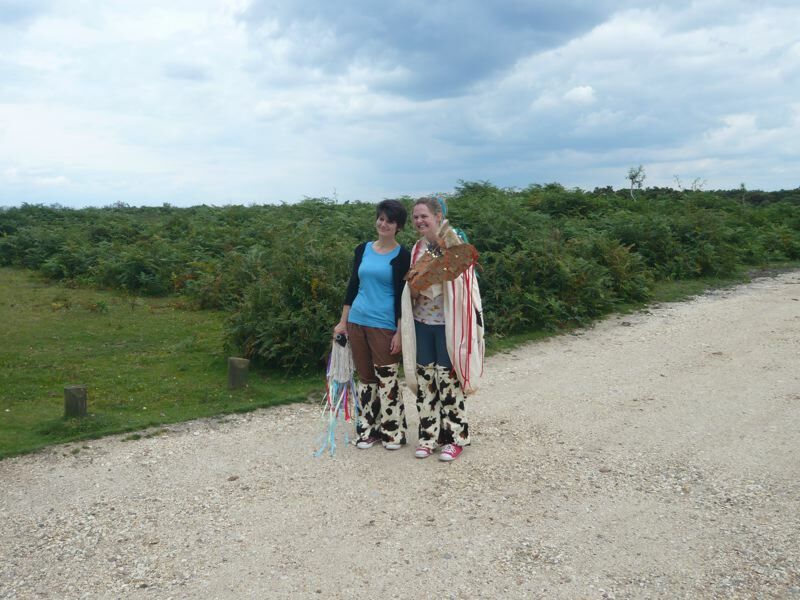 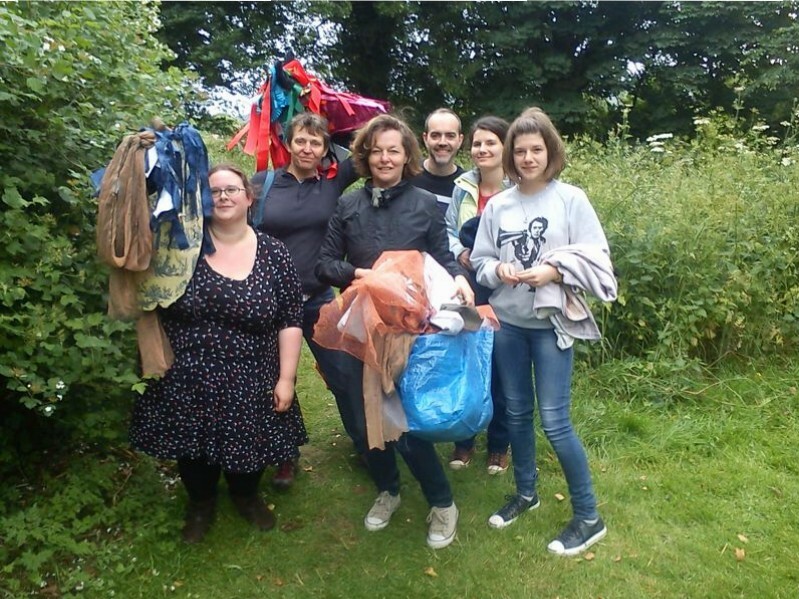 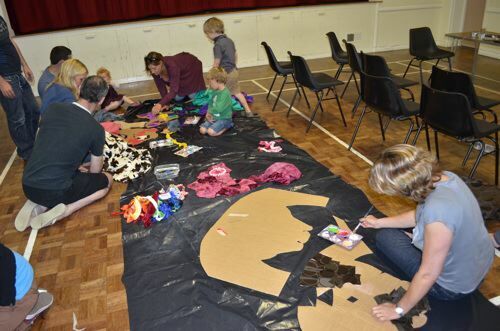 This participatory costume and performance workshop was commissioned by ArtSway as part of a Cultural Olympiad series of one-off events across the Hampshire region. 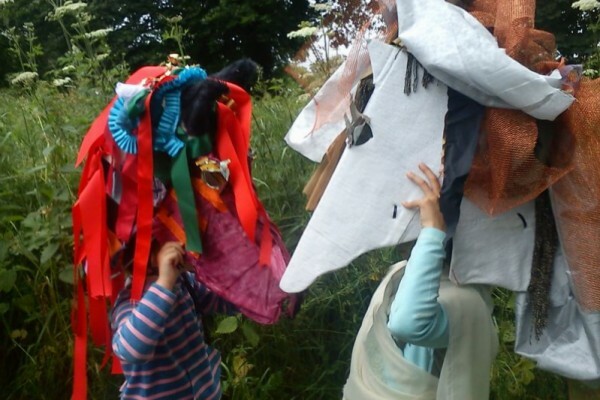 Working in small family teams, costumes and masks were collaged and improvised with recycled materials, paints and ephemera to create fantastical creatures. 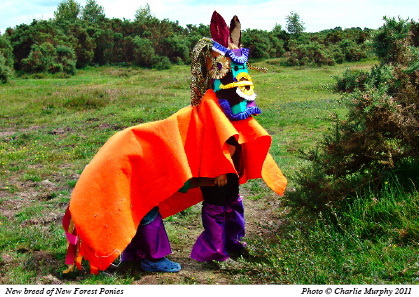 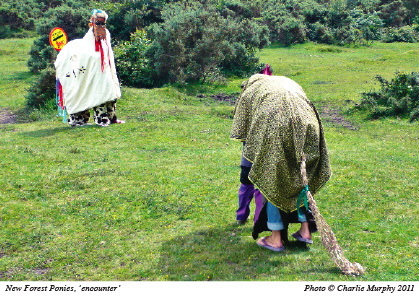 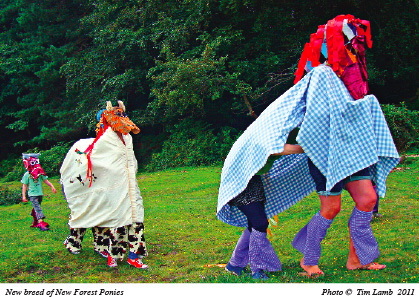 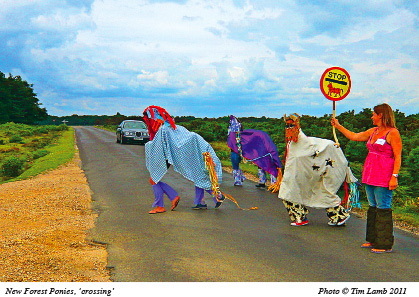 The resulting costumes were then paraded through the local forest landscape to create a series of photographic images. 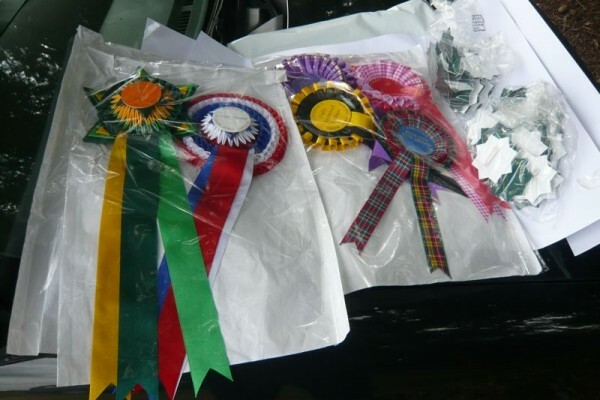 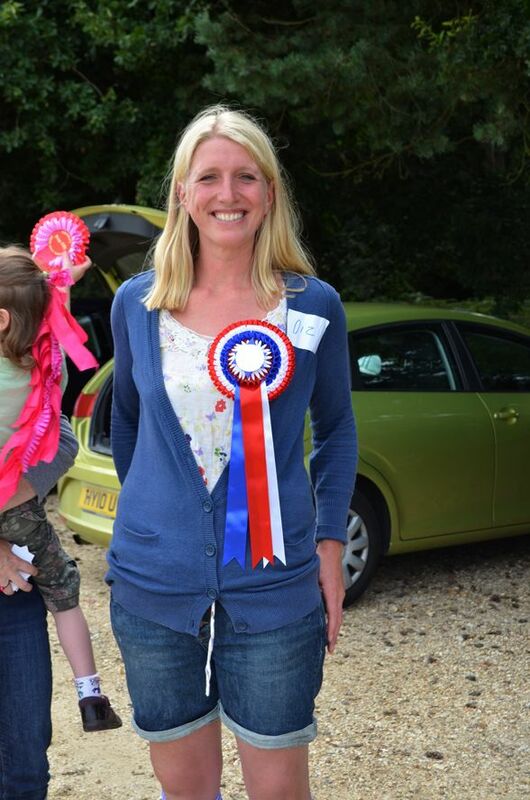 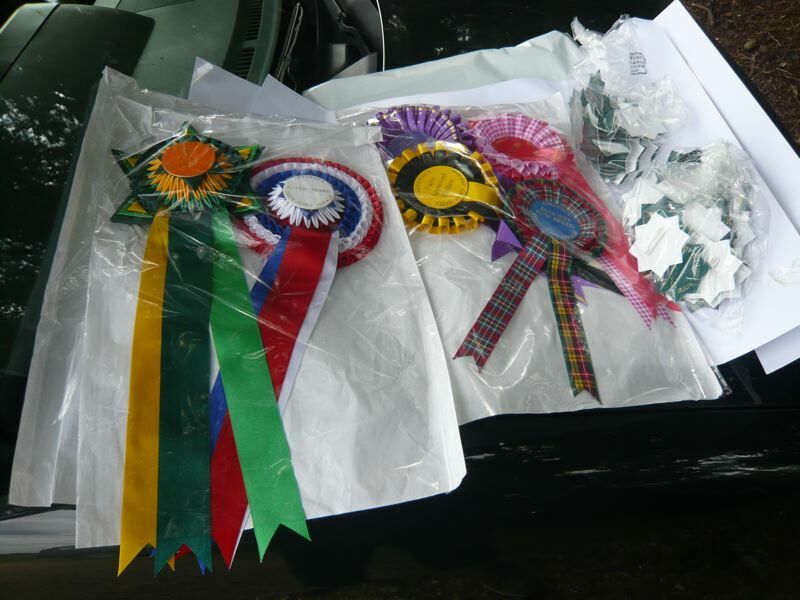 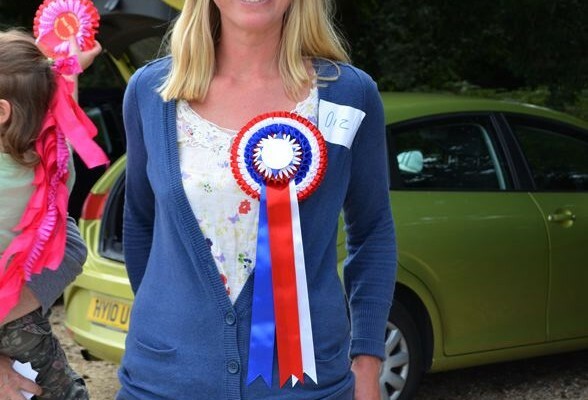 Miss Murphy’s Limited edition rosette prizes were awarded for the most creative designs and participation. 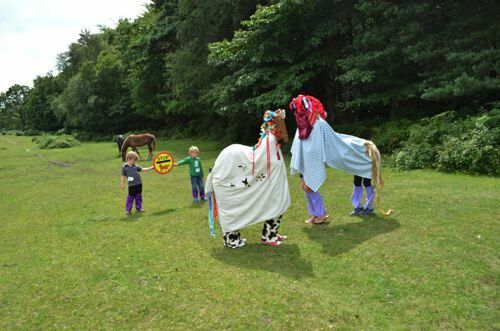 Experimenting with moving together as pantomime pairs and meeting other more native pony species, we created a series of picture postcards inspired by the famous 60’s holiday postcard maker John Hinde. 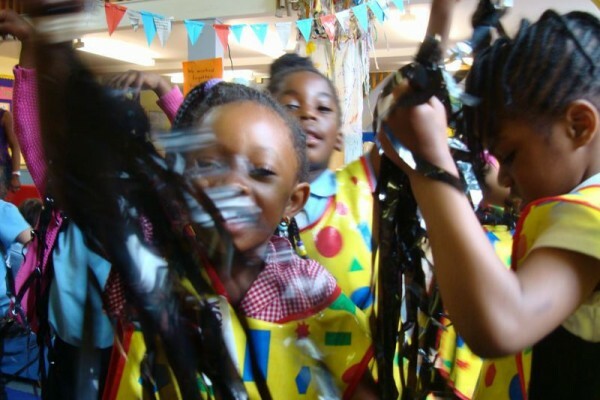 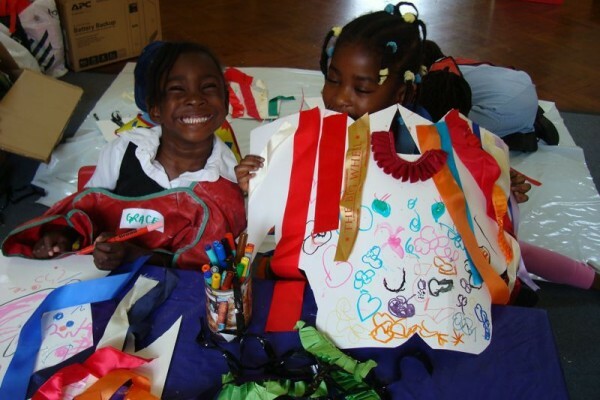 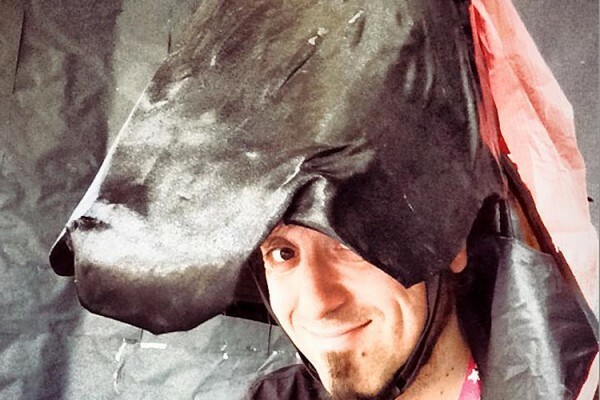 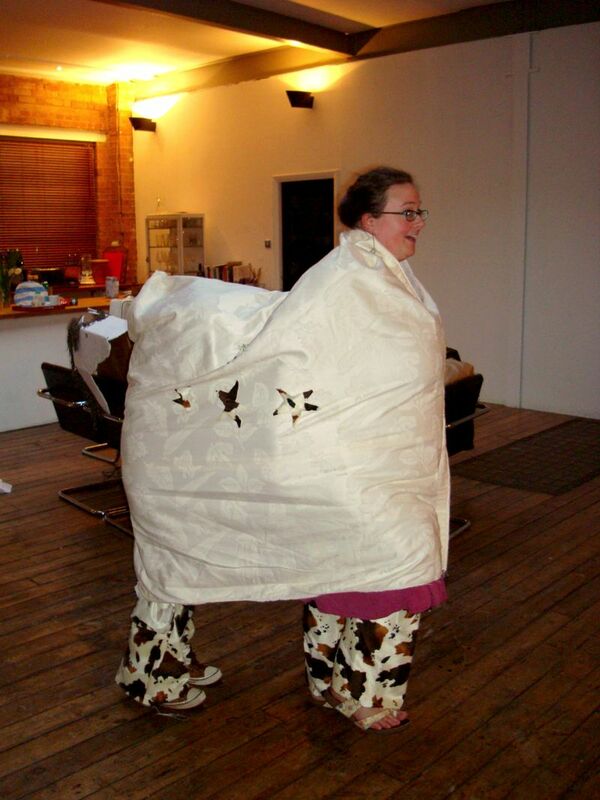 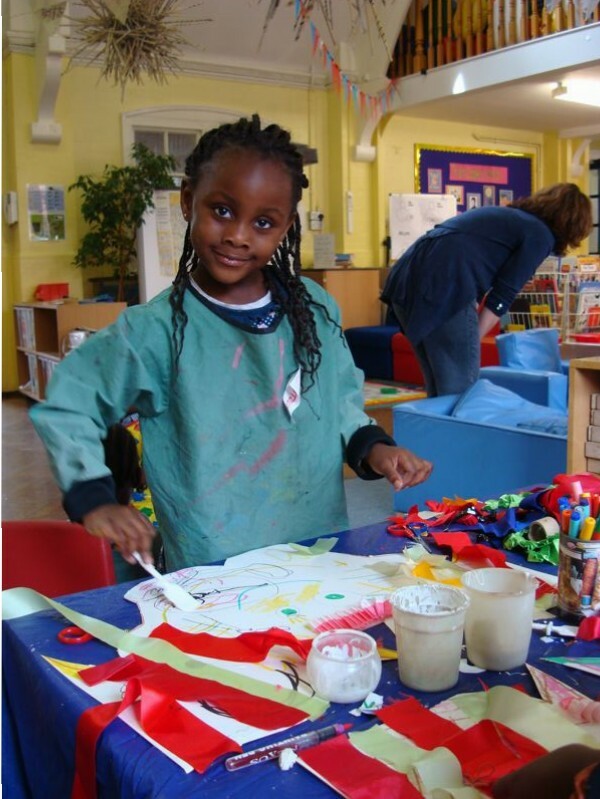 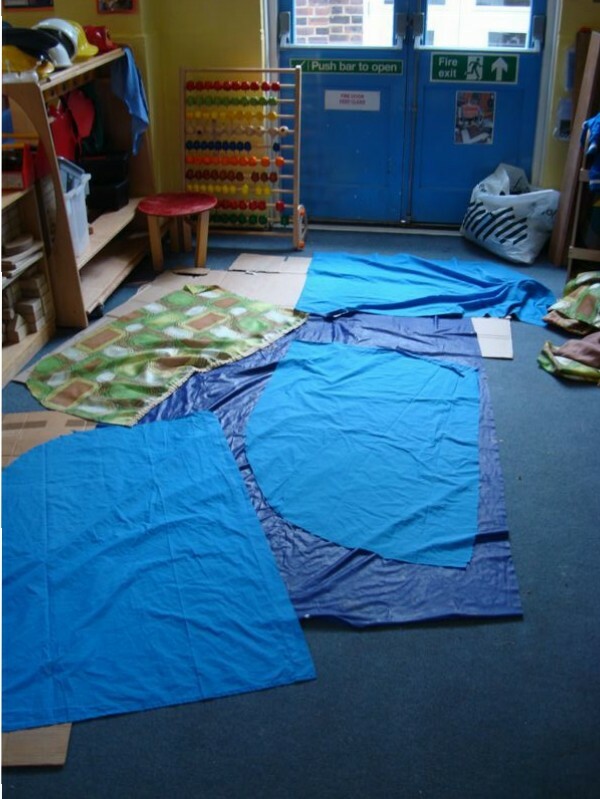 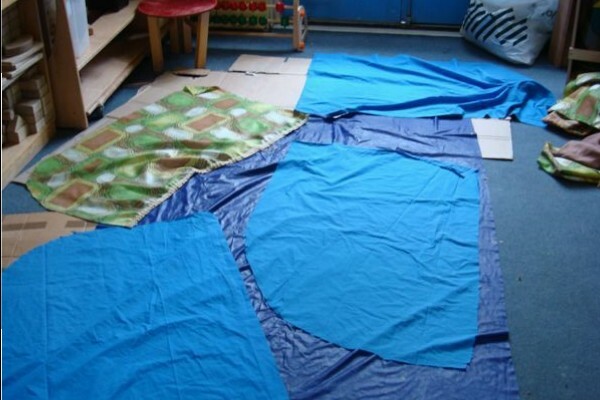 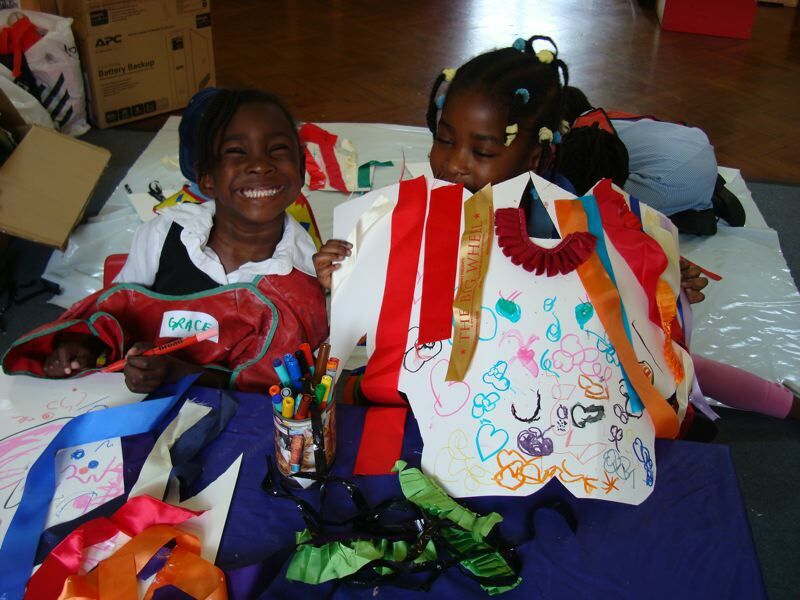 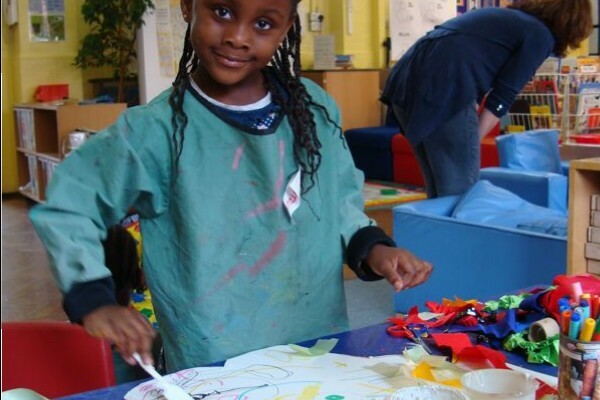 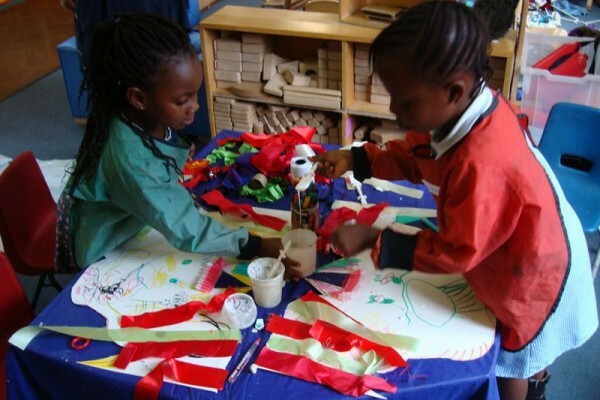 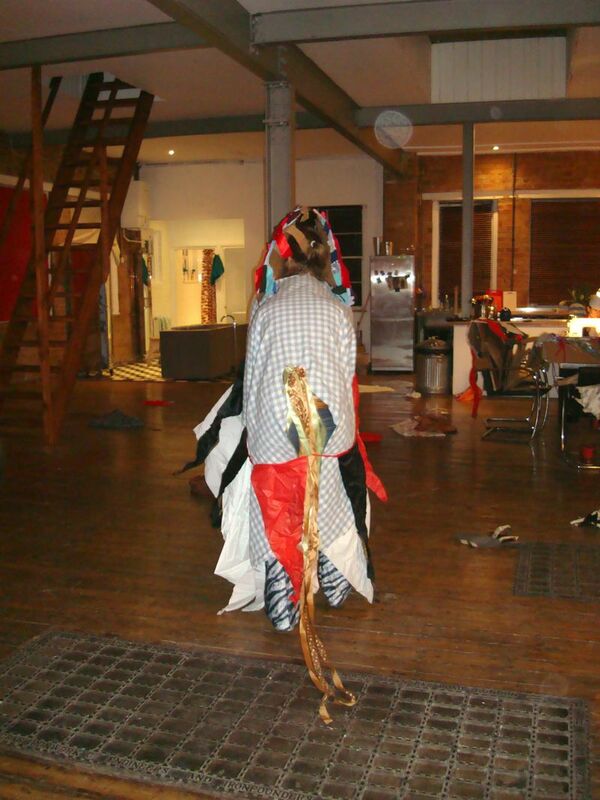 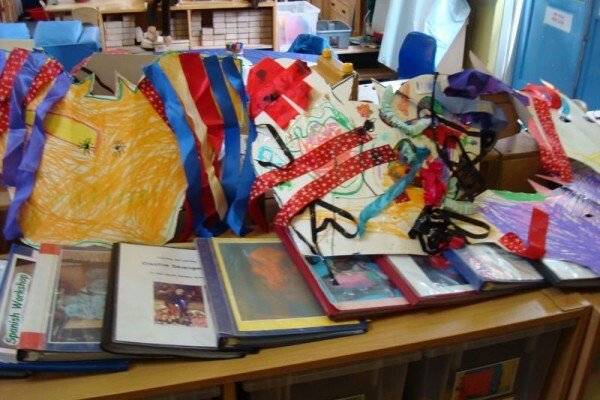 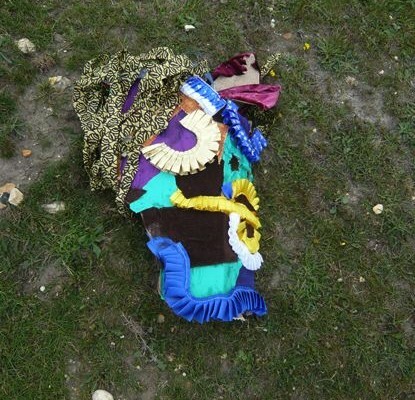 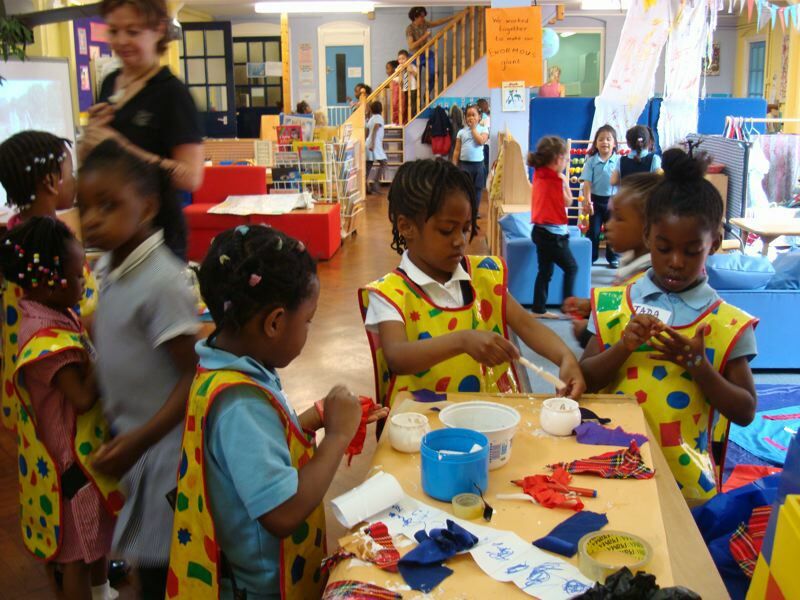 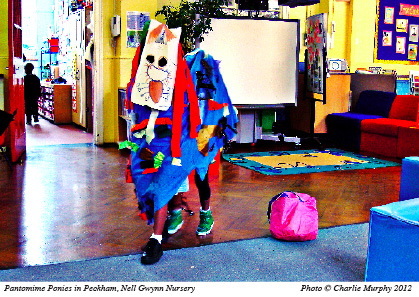 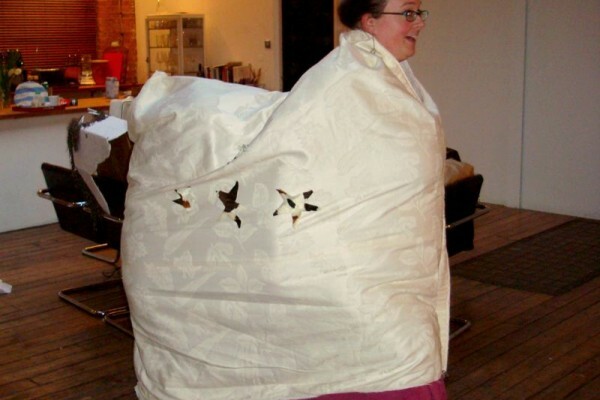 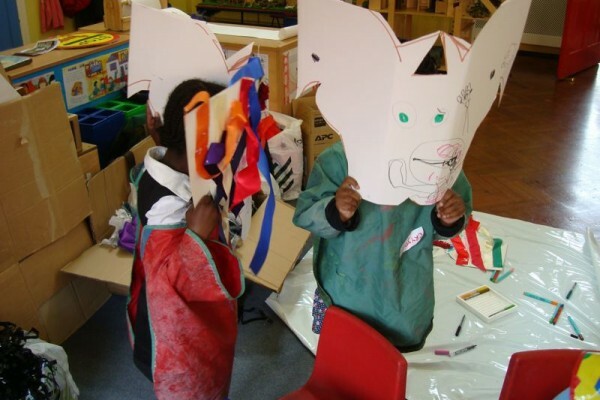 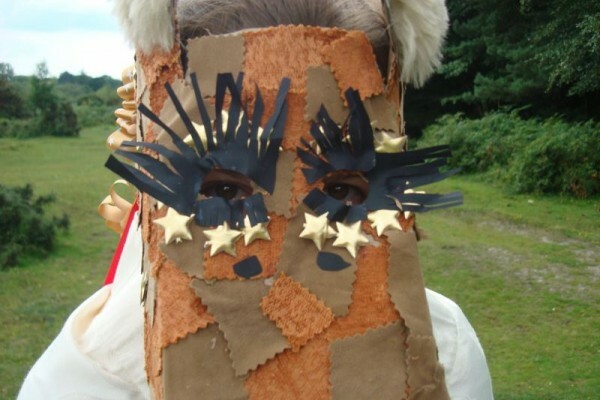 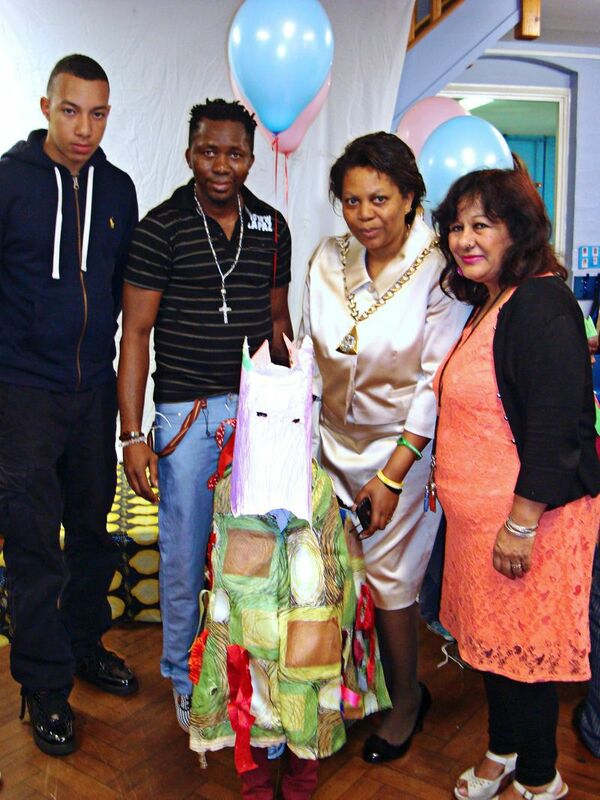 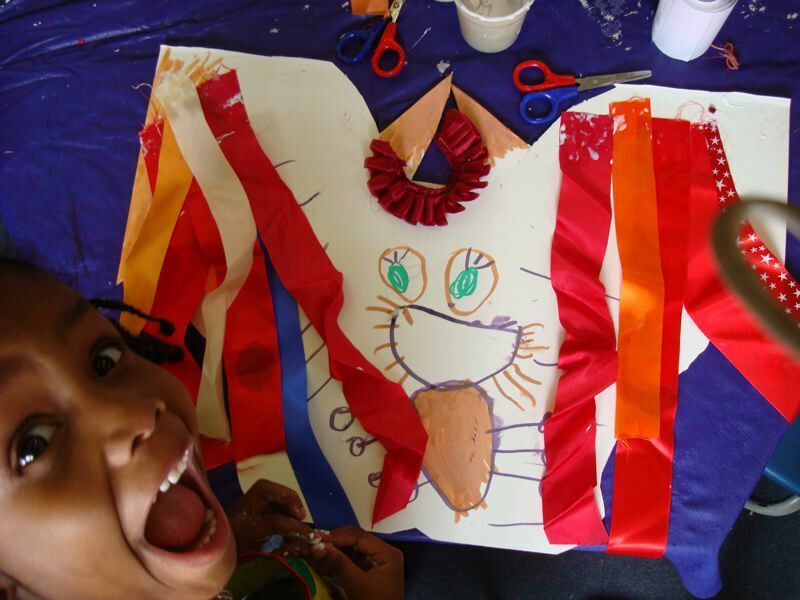 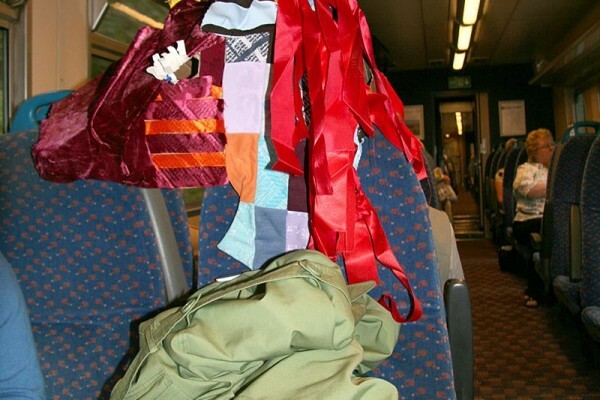 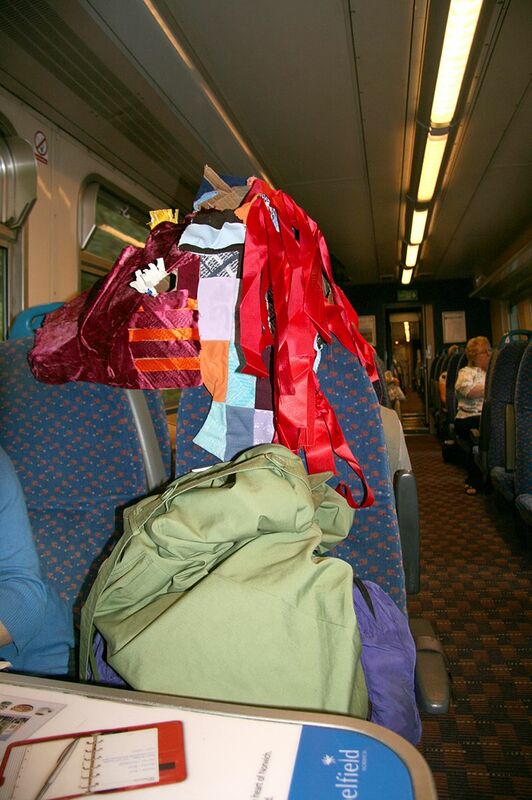 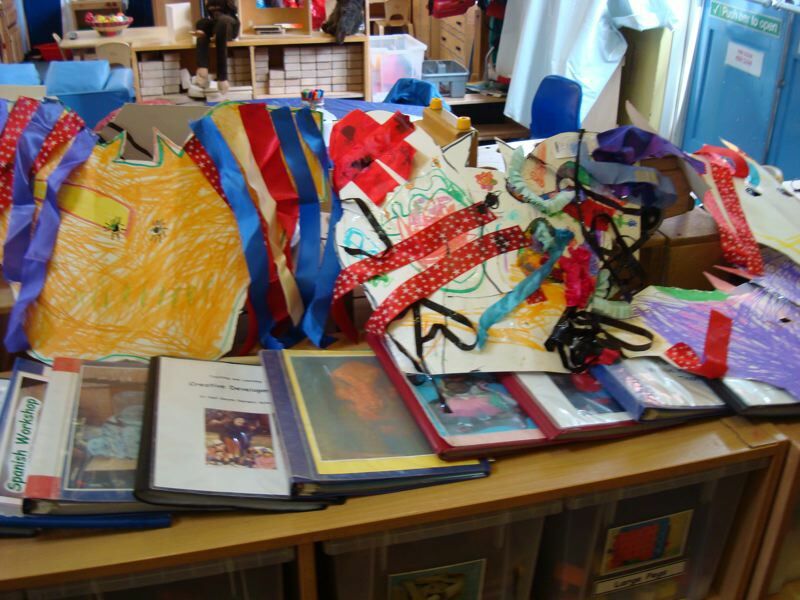 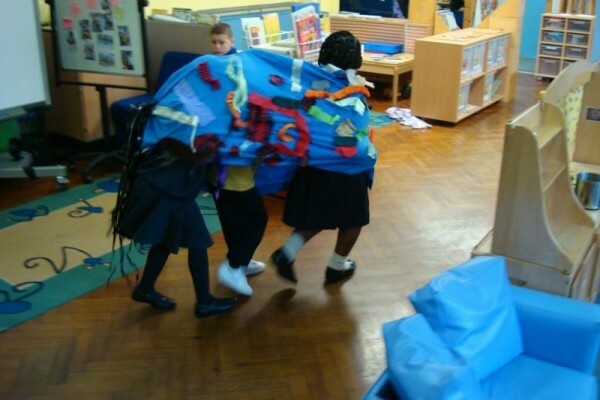 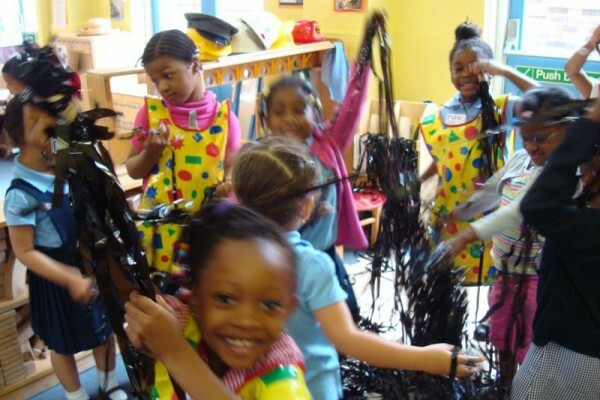 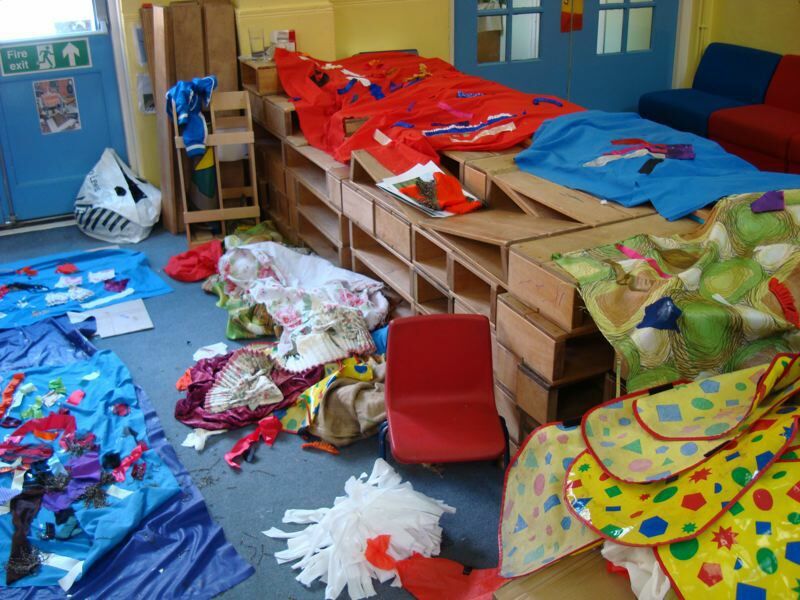 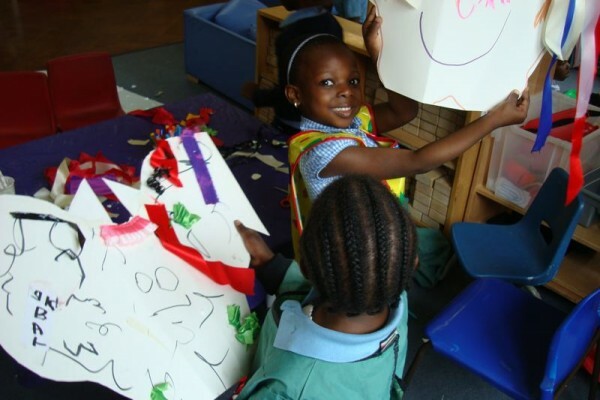 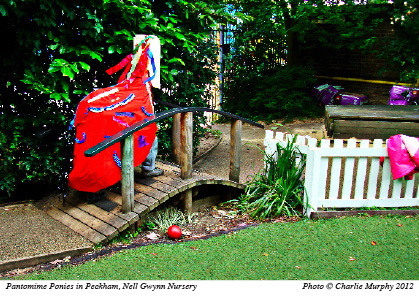 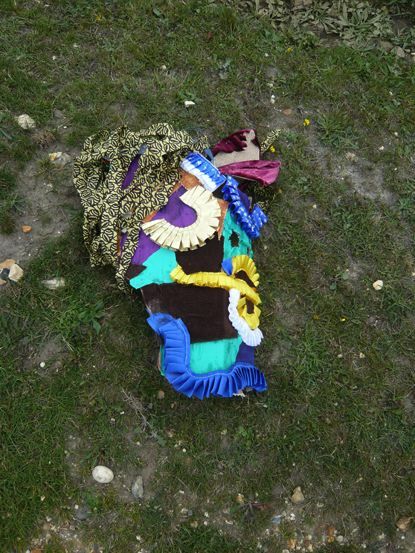 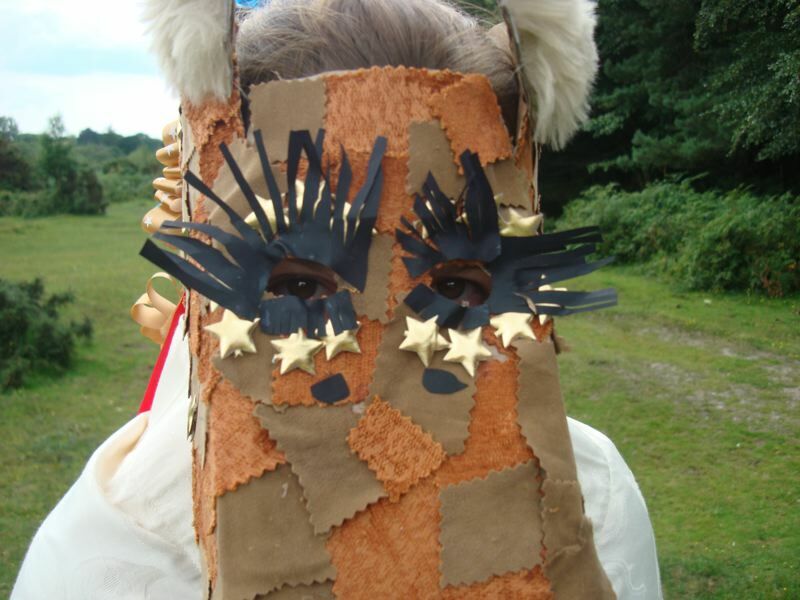 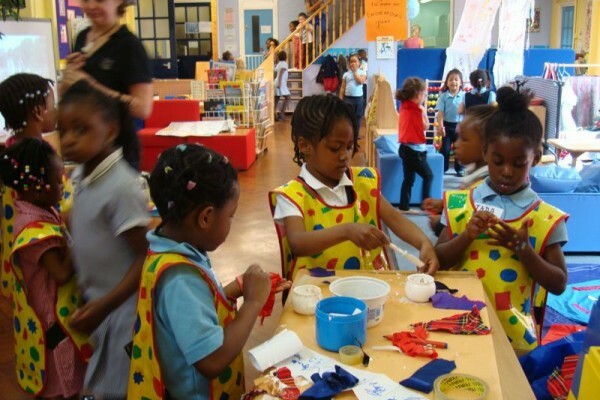 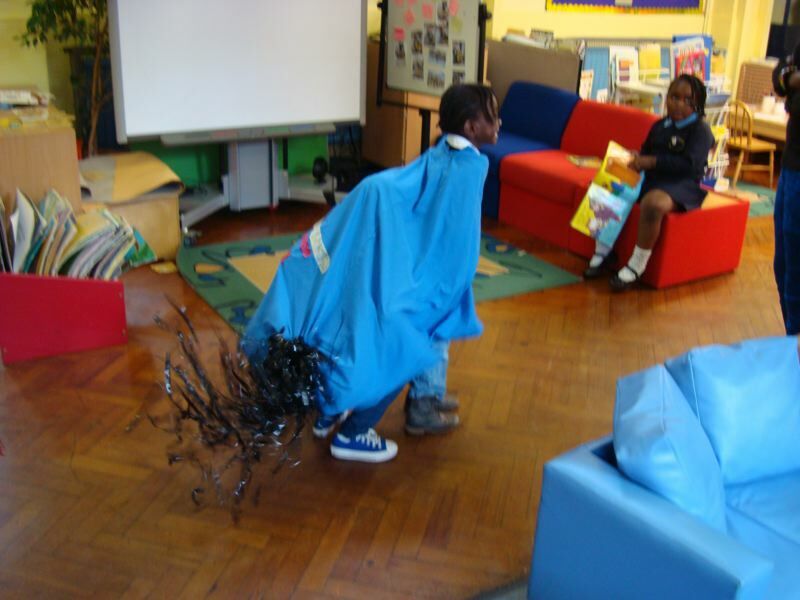 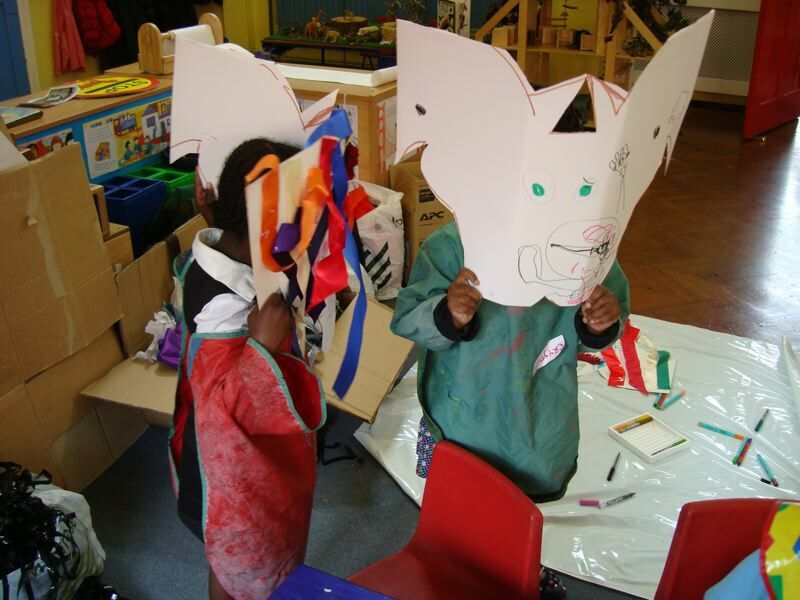 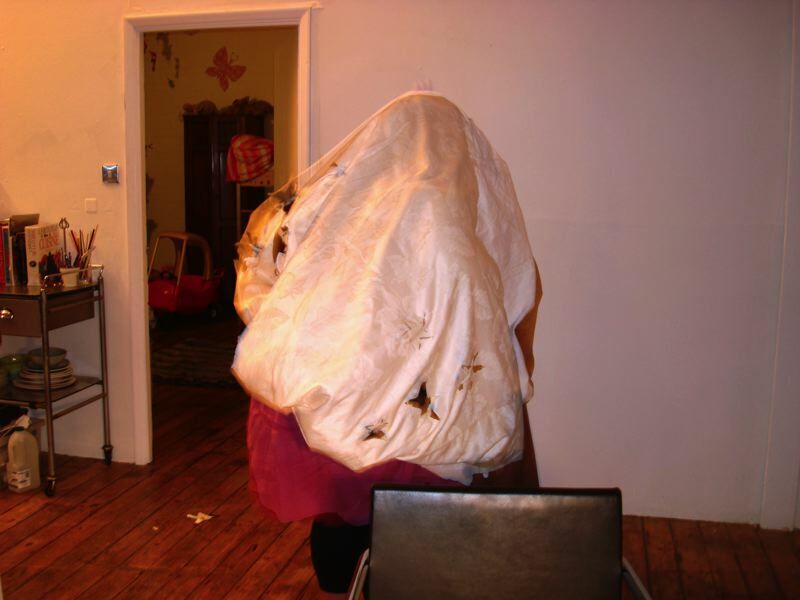 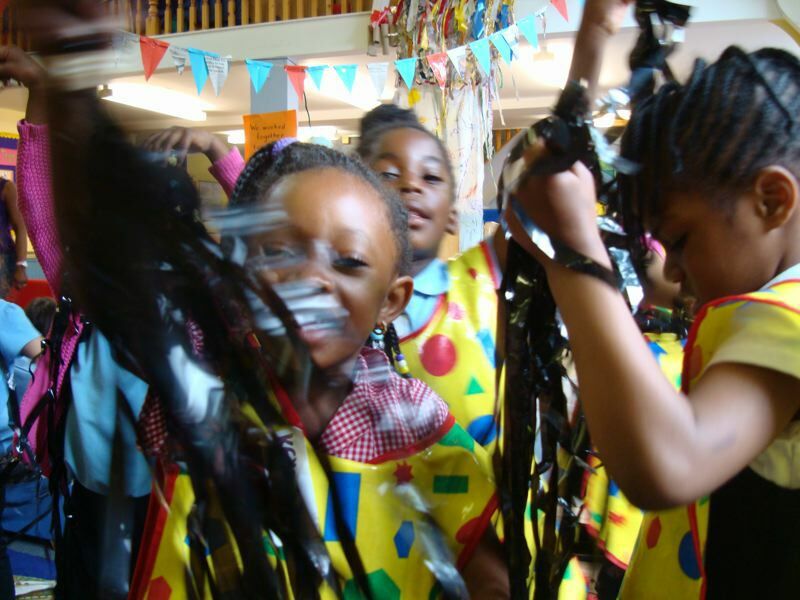 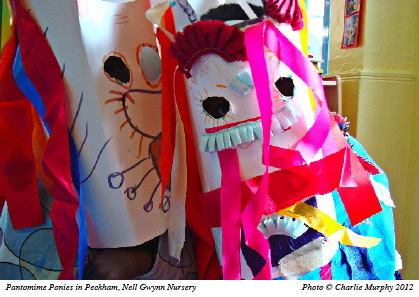 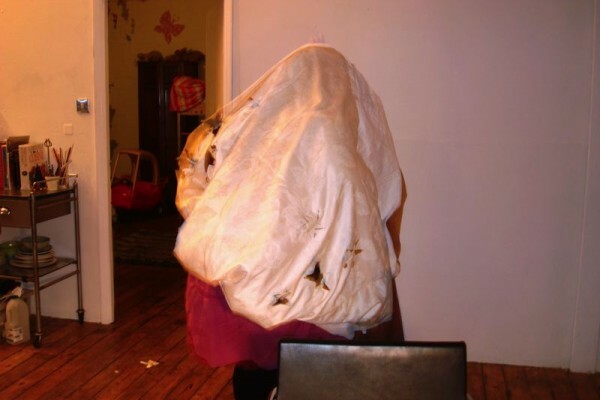 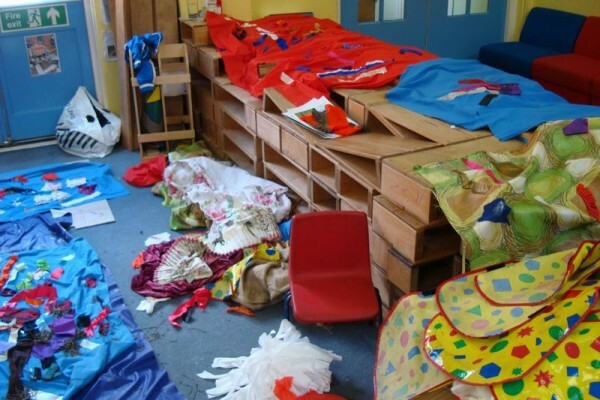 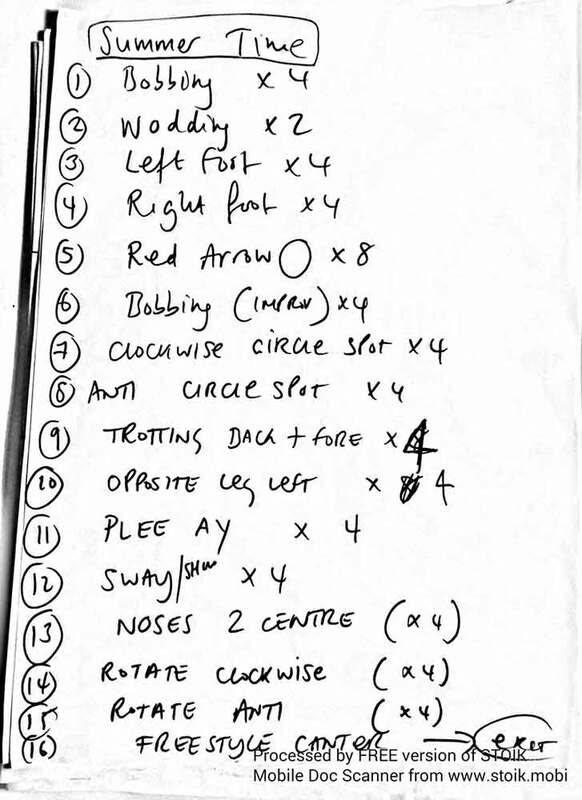 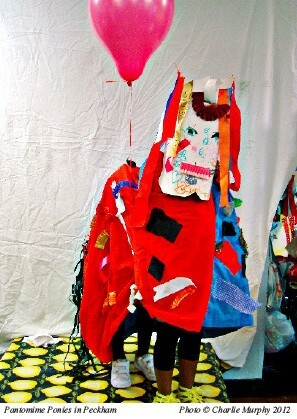 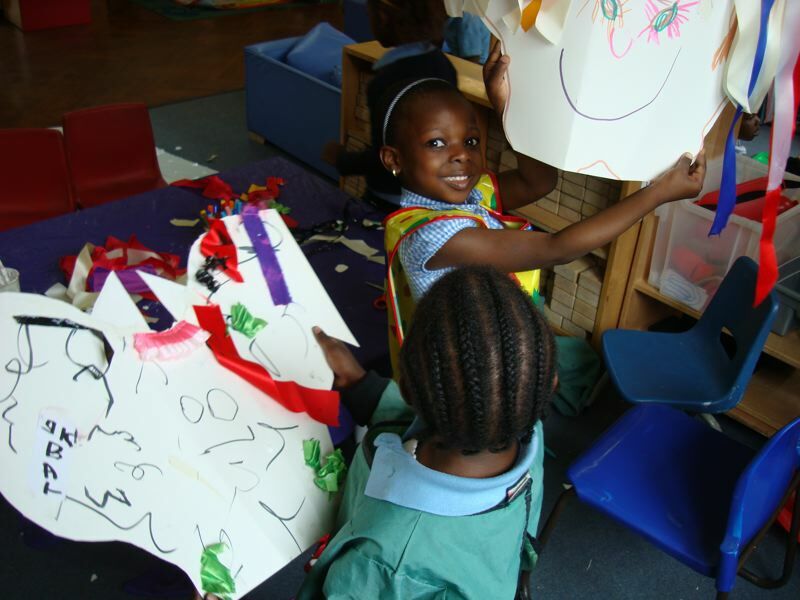 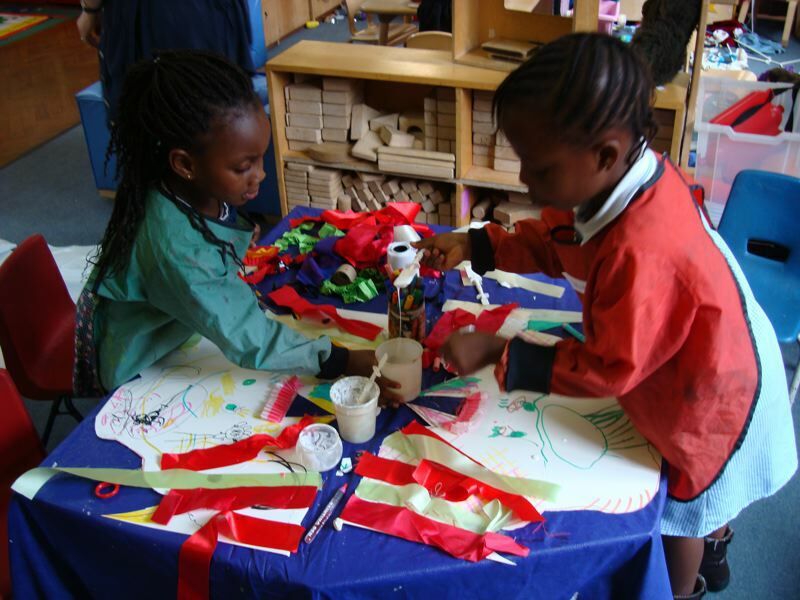 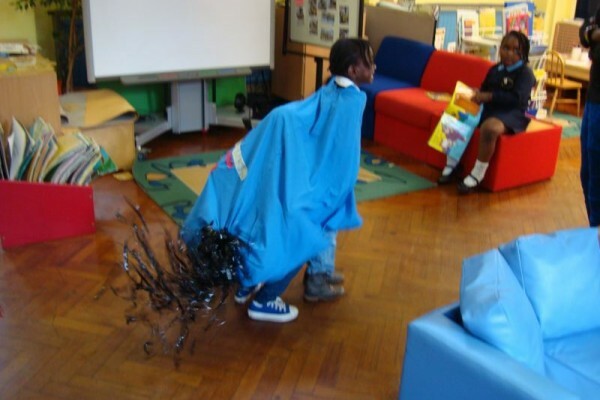 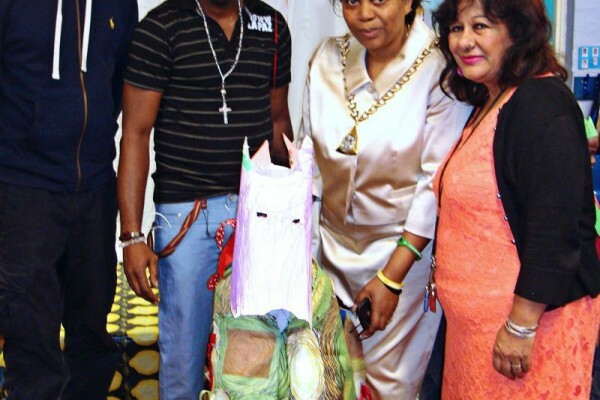 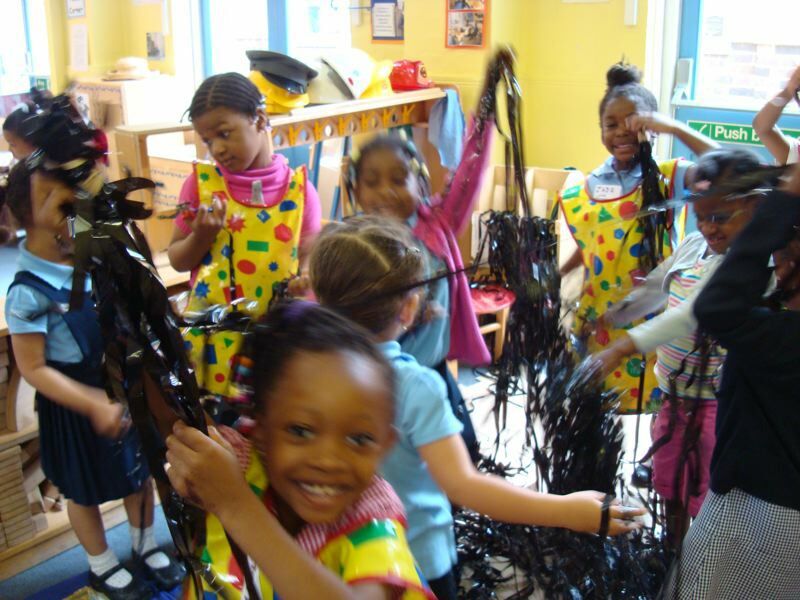 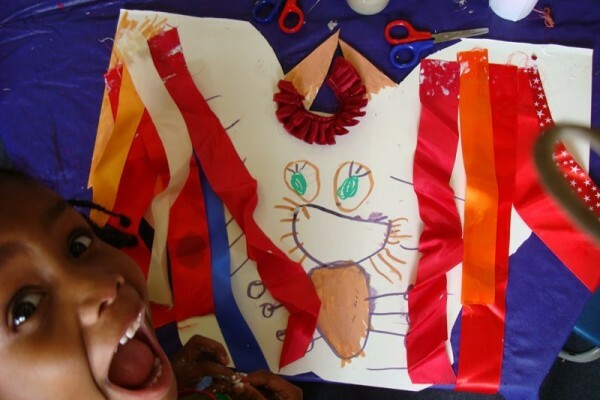 In 2012, Miss Murphy was commissioned to lead a series of costume making workshops for children at Nell Gwynn Nursery School in London- working with recycled materials, cardboard,ribbon and video tape, the children developed an elaborate range of costumes and masks with which they improvised various performances in the playground and classroom areas. 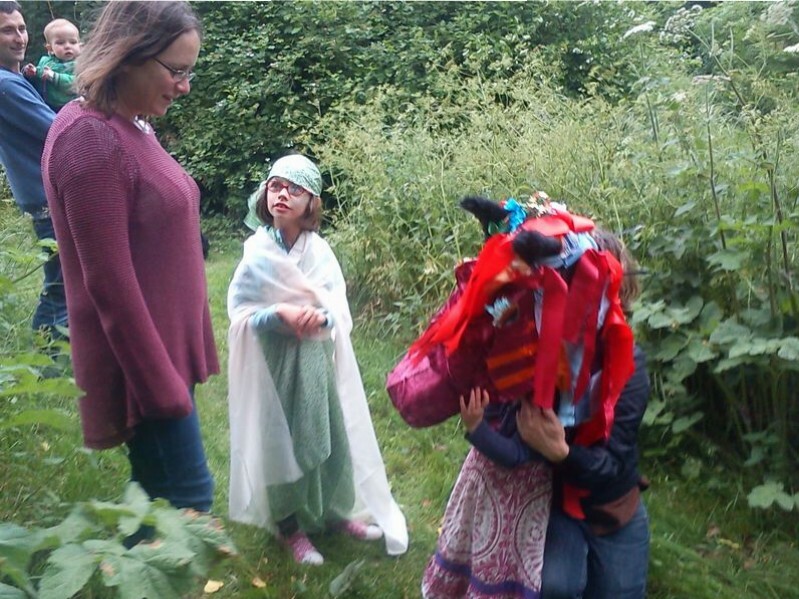 These sessions were concluded at their summer fête with a small photo studio where they could try out each others costumes. 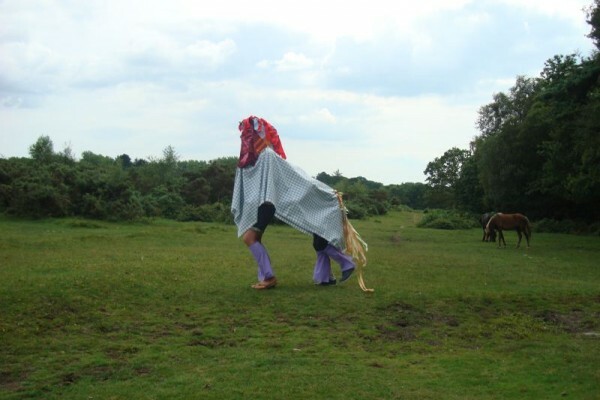 The resulting images were then transformed into the ‘Pantomime Ponies in Peckham’ postcard series (which are available in sets of 5 through my ‘works for sale’ page). 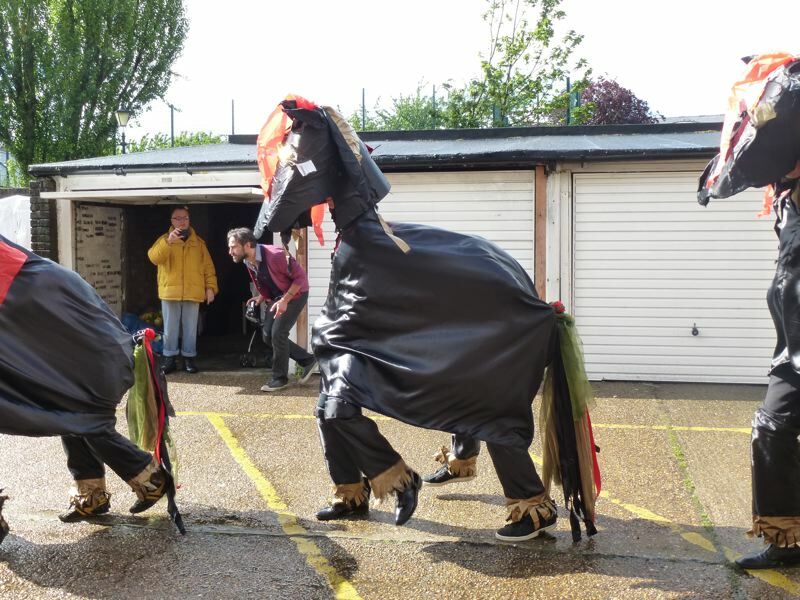 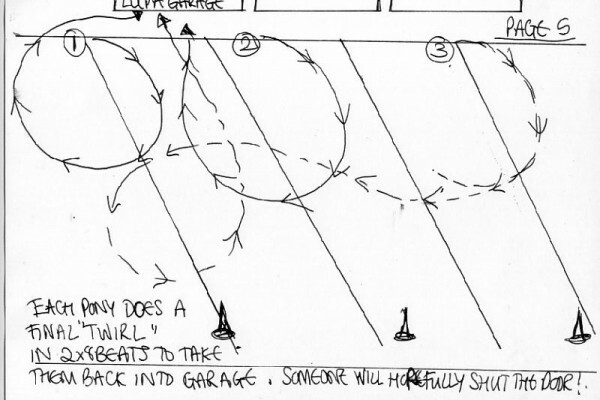 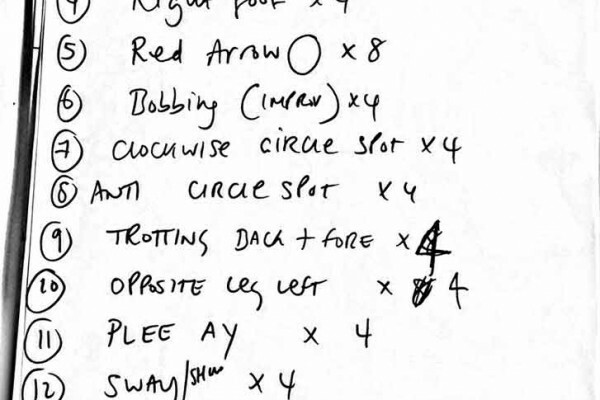 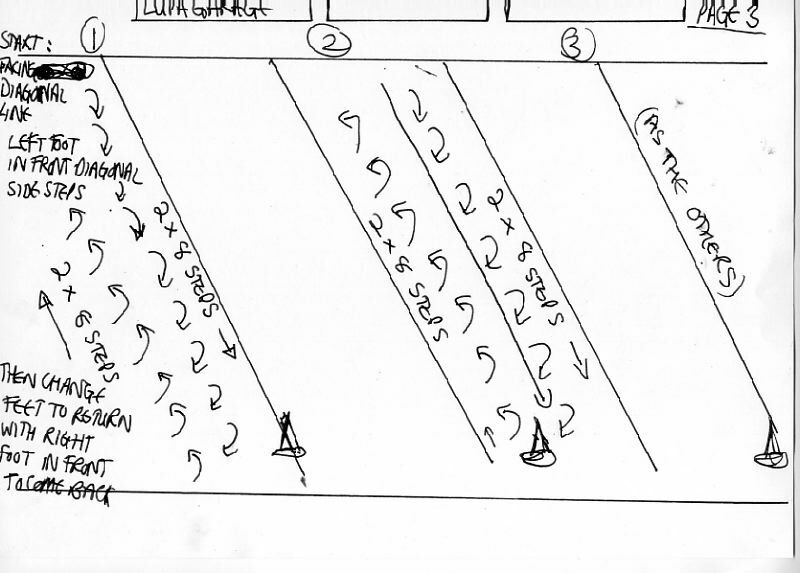 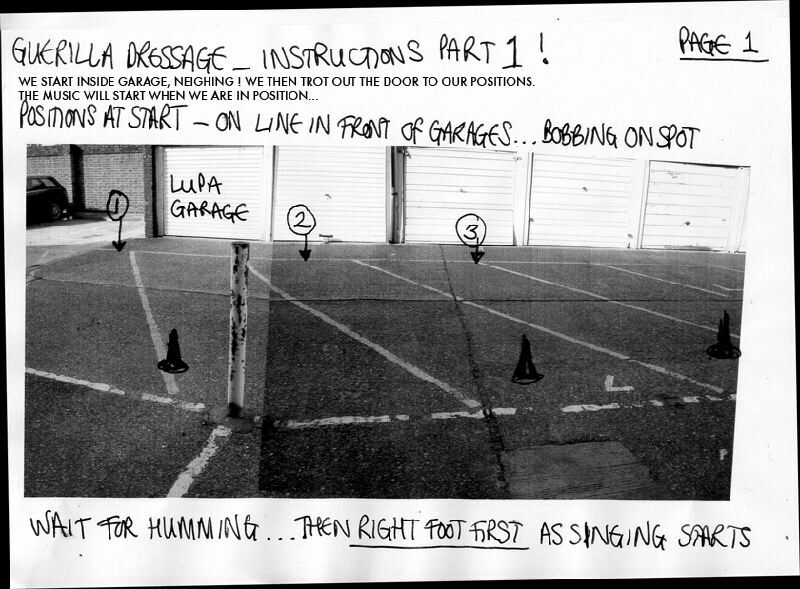 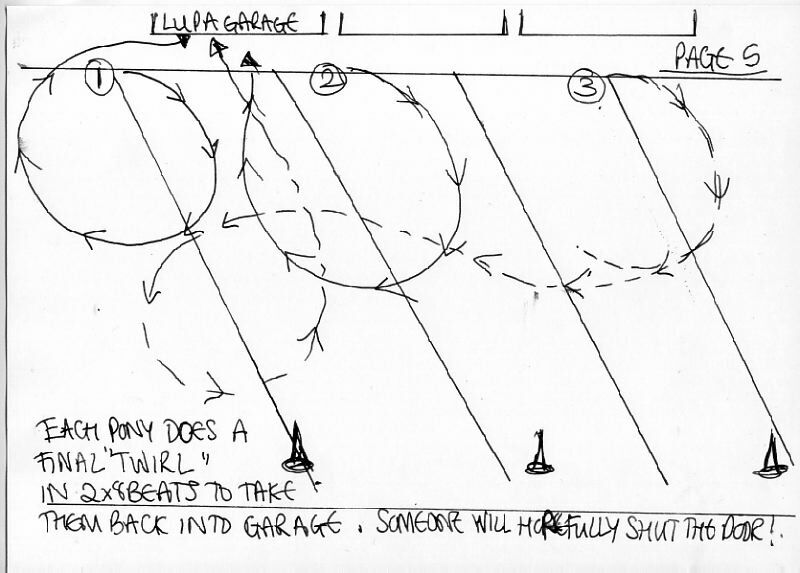 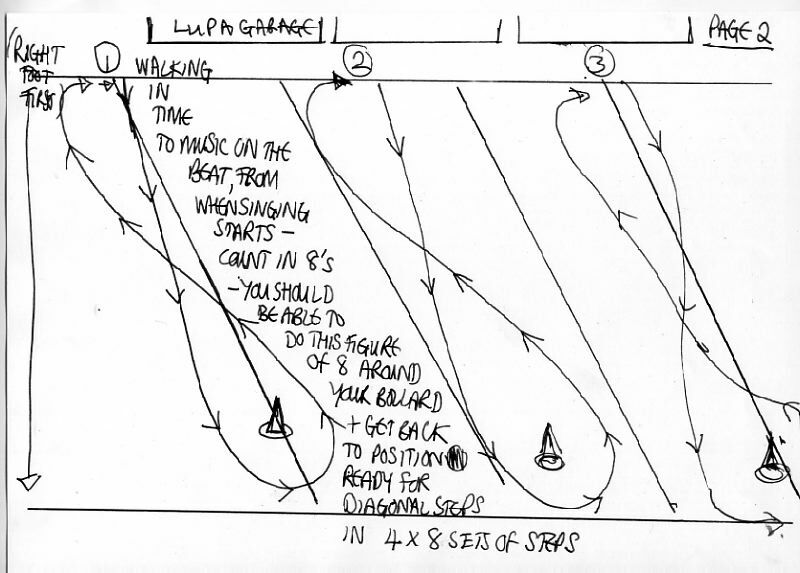 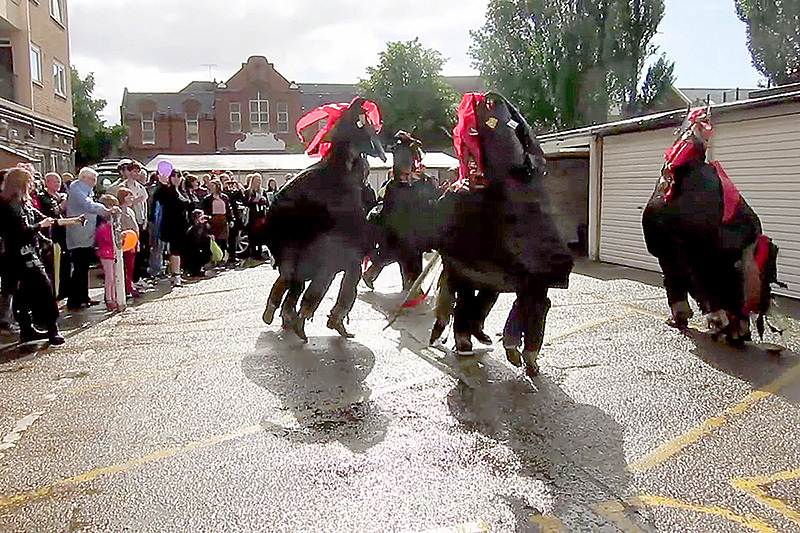 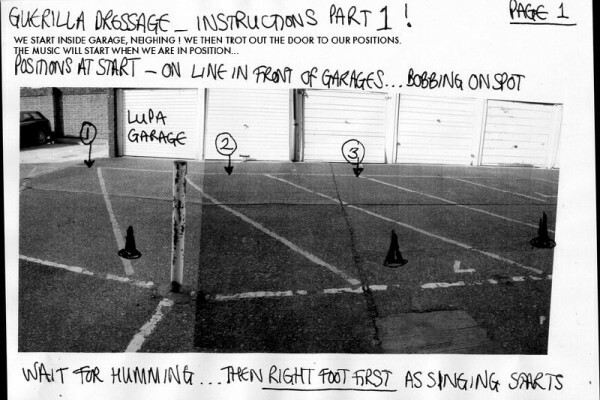 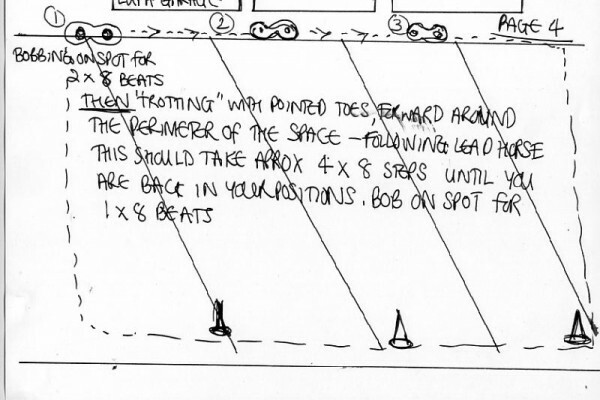 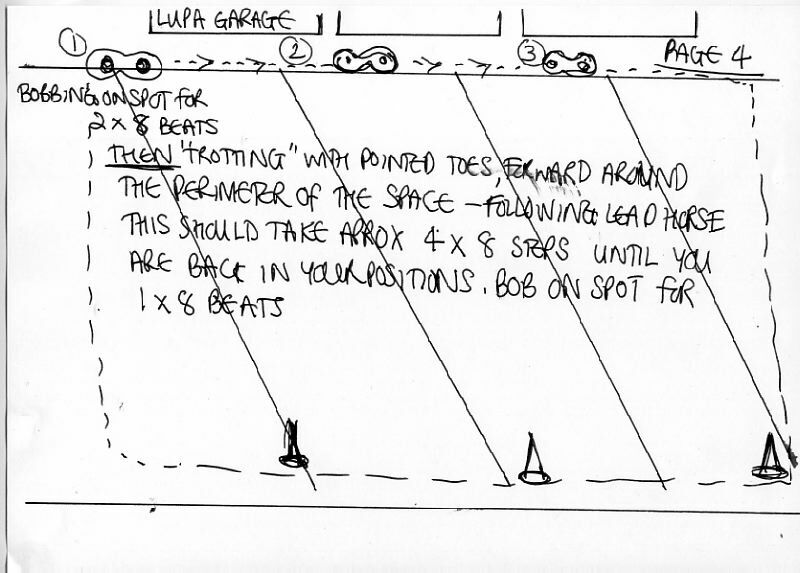 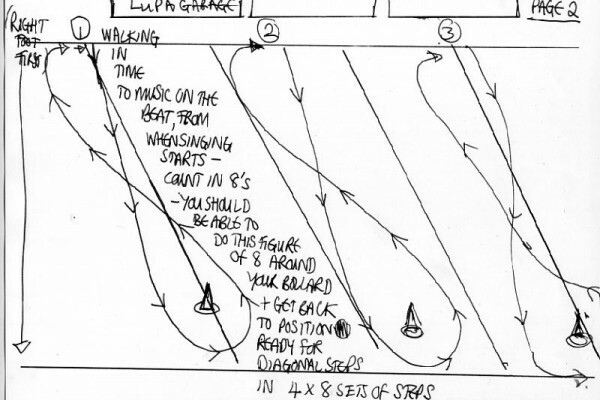 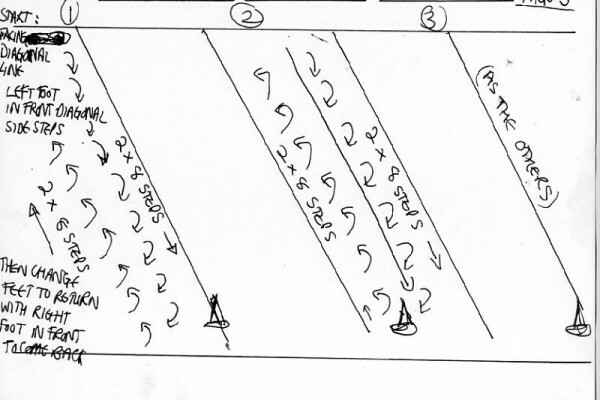 Pony teams are encouraged to swap roles, contribute ideas, movements, and to improvise freely through short, intensive rehearsal sessions towards presenting public performances in many different locations and contexts. 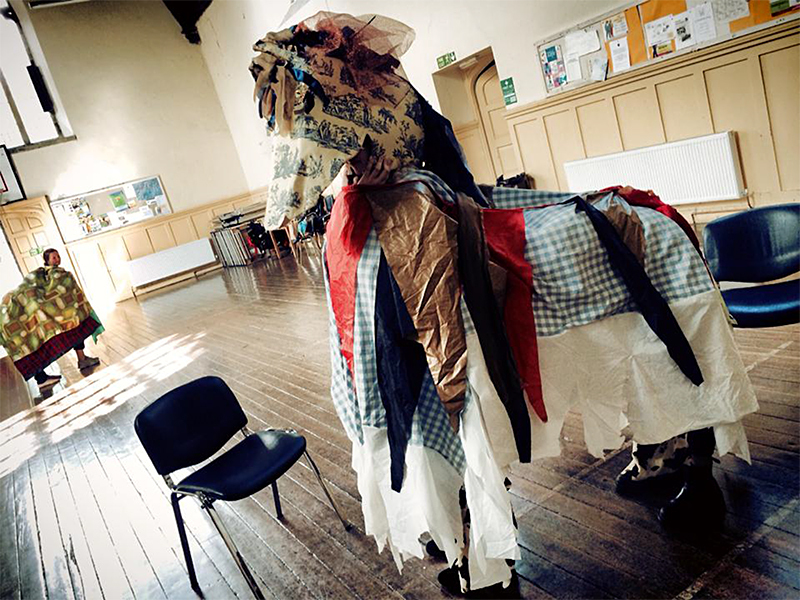 Our choreography takes inspiration from a wide range of cultural and historic references and offers refreshing , irreverent revelry in all things pony.